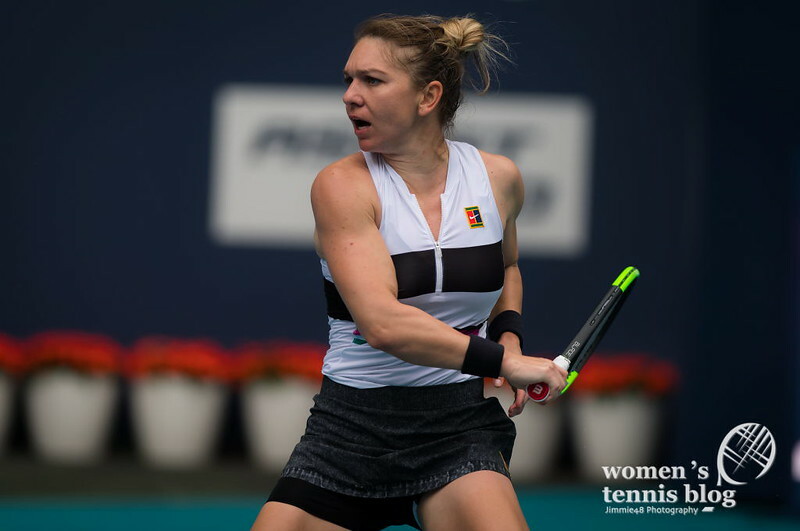 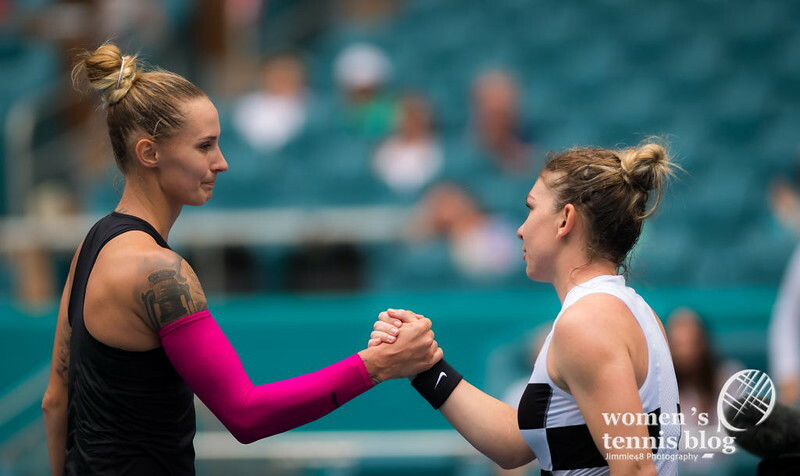 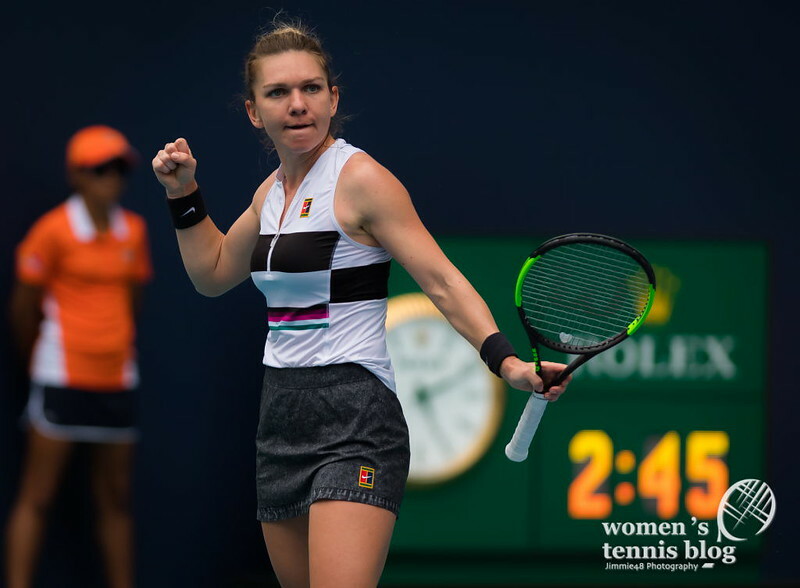 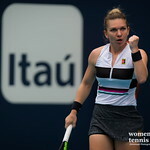 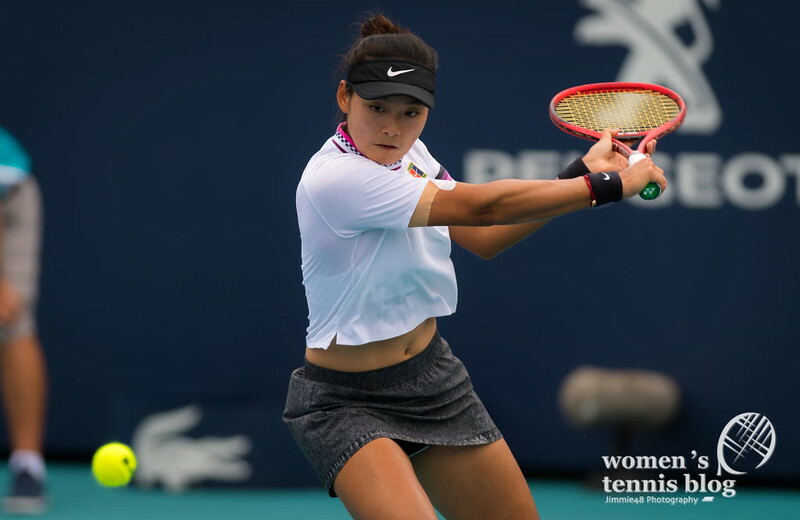 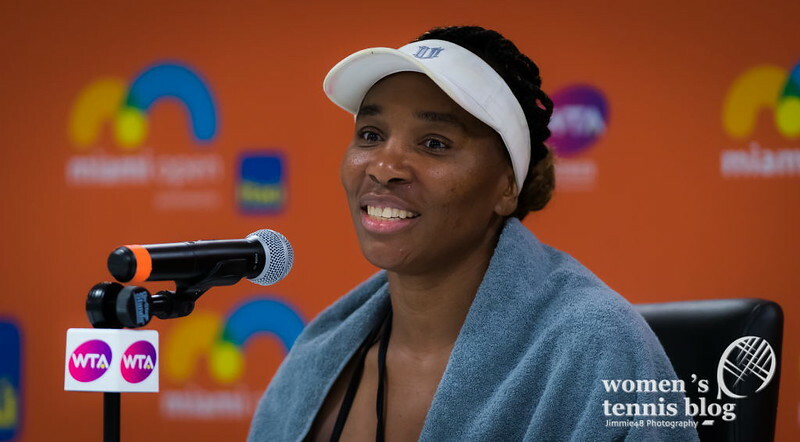 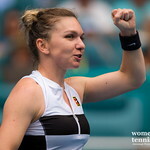 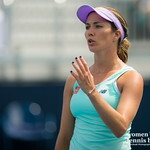 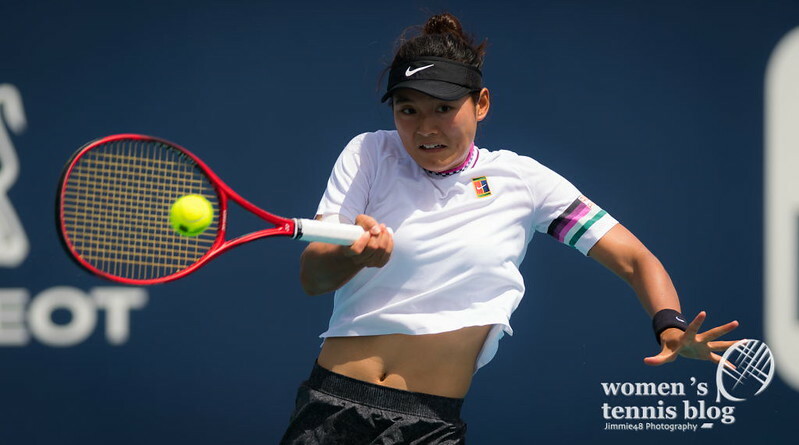 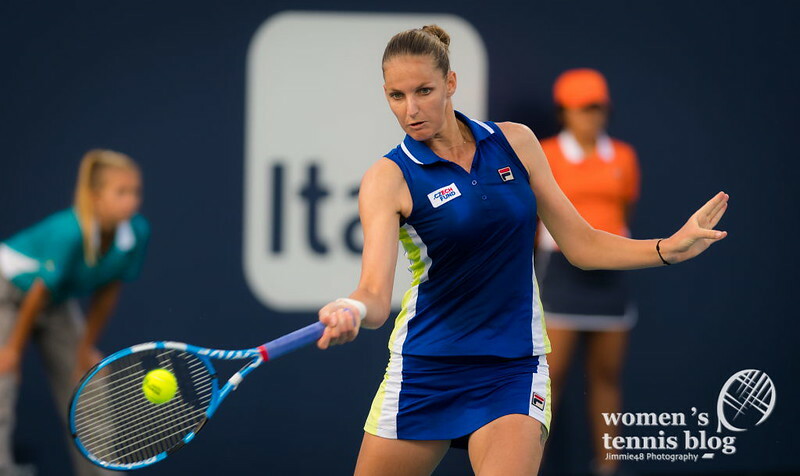 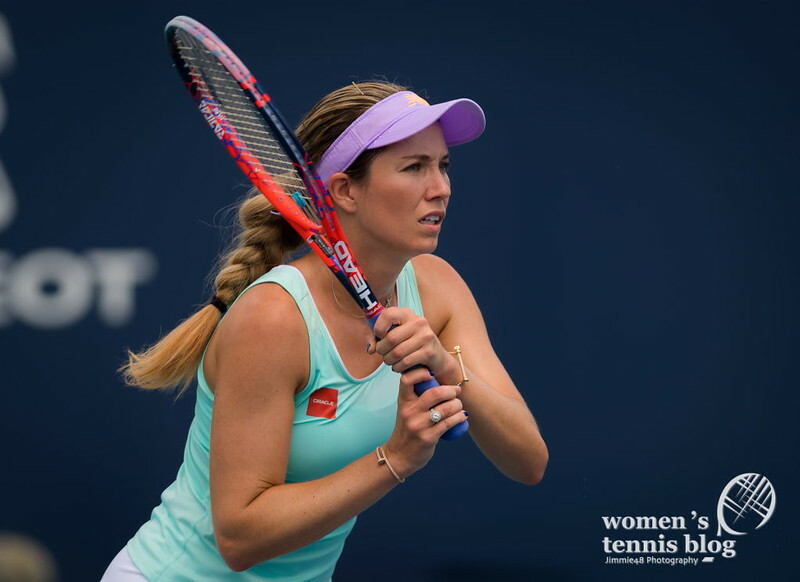 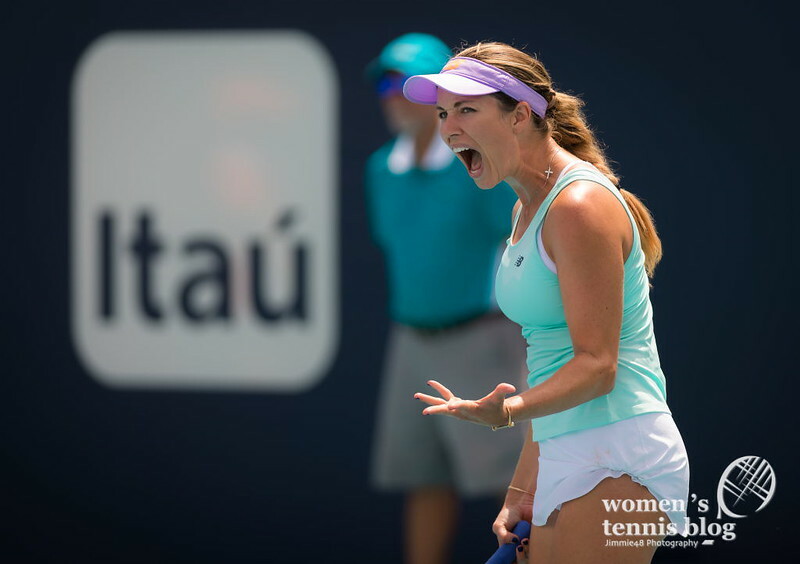 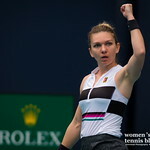 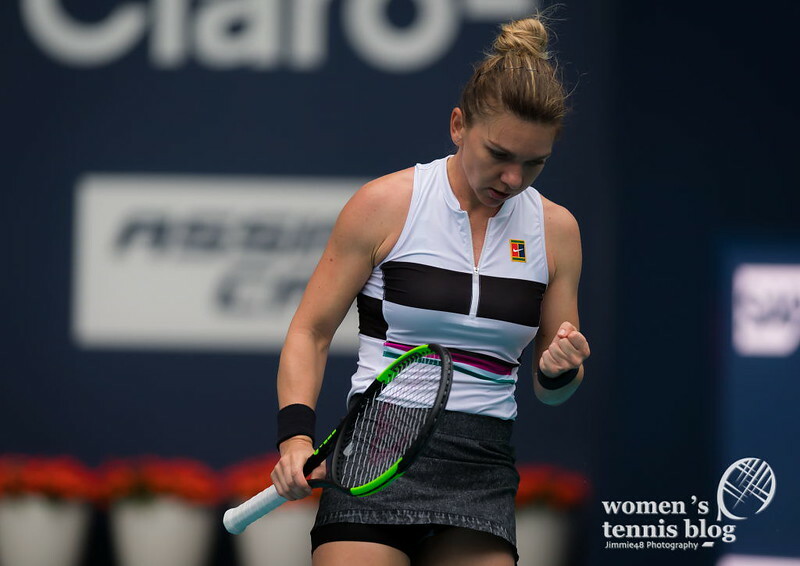 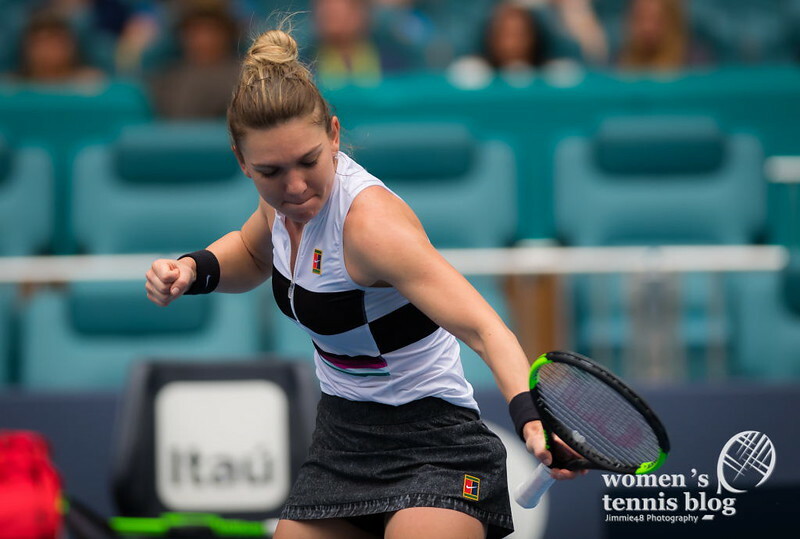 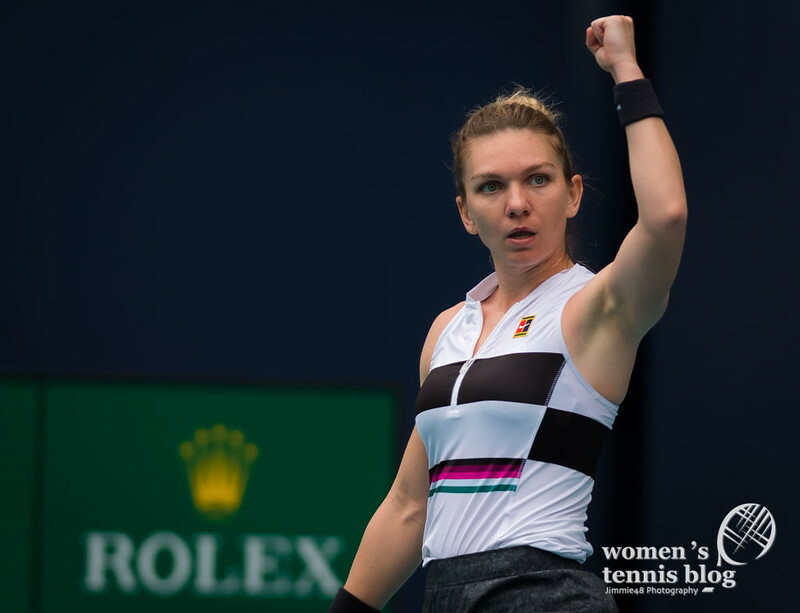 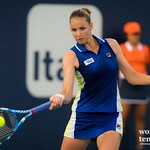 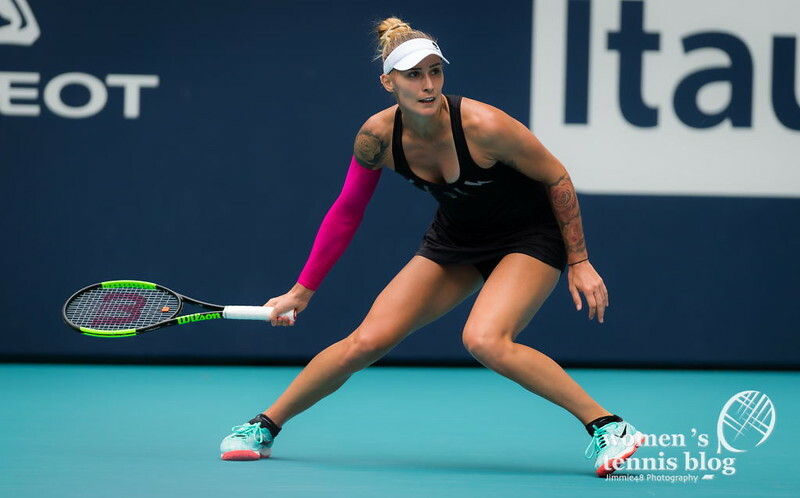 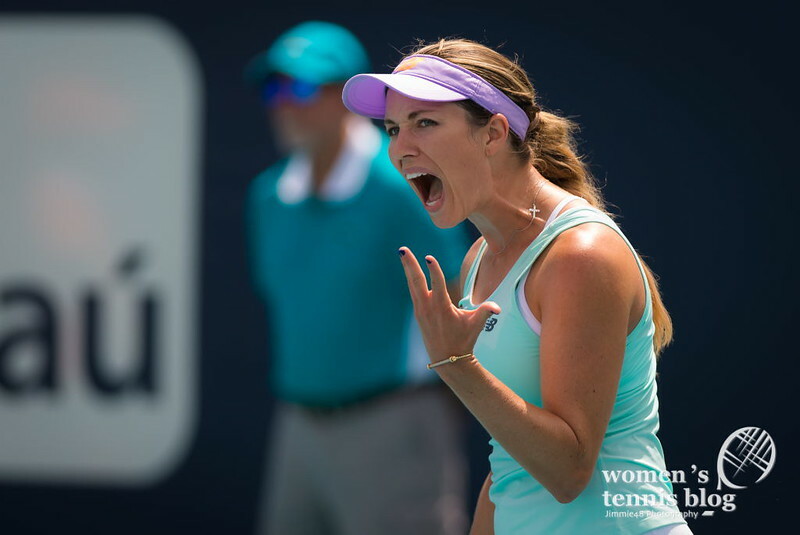 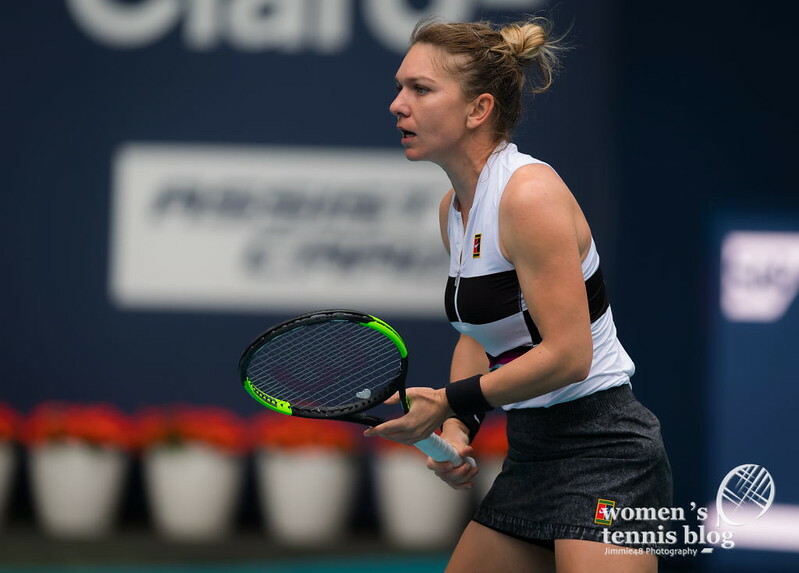 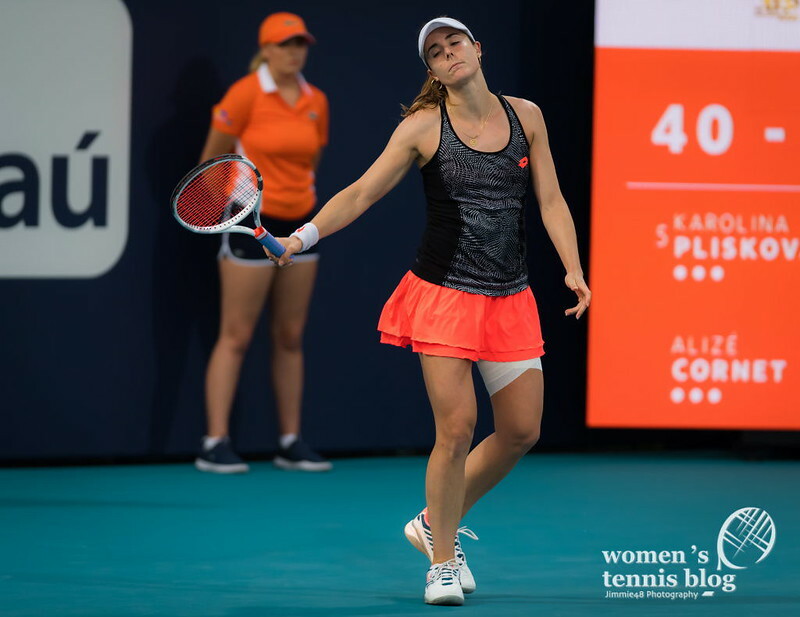 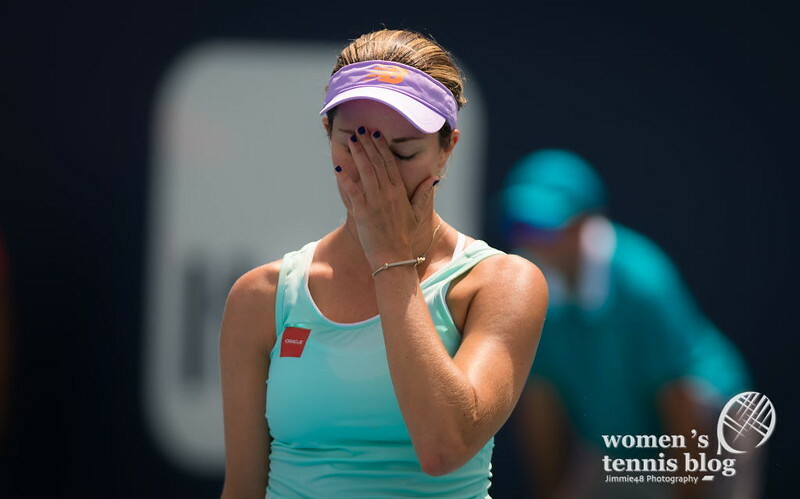 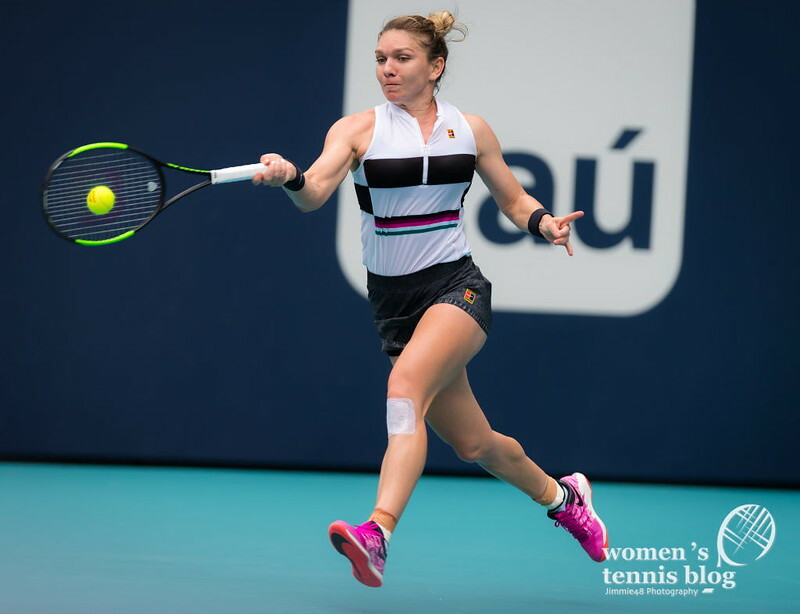 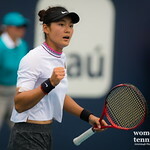 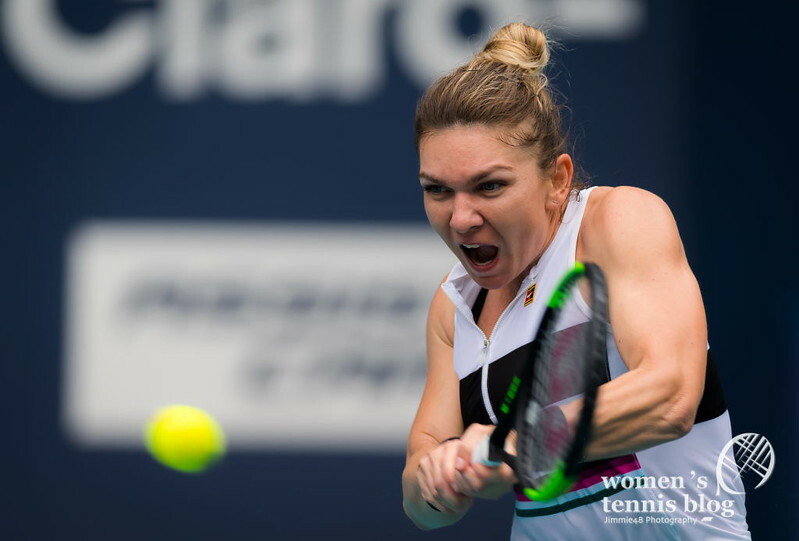 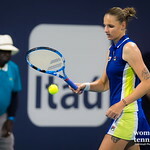 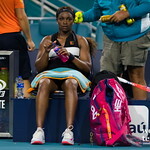 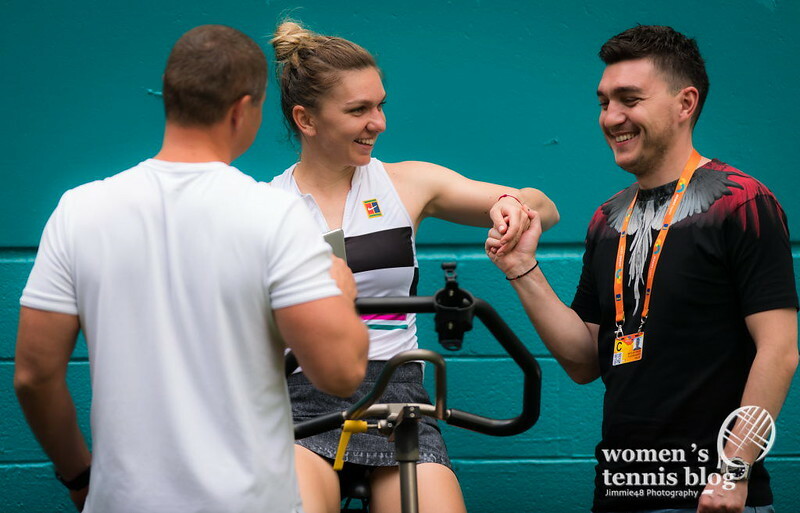 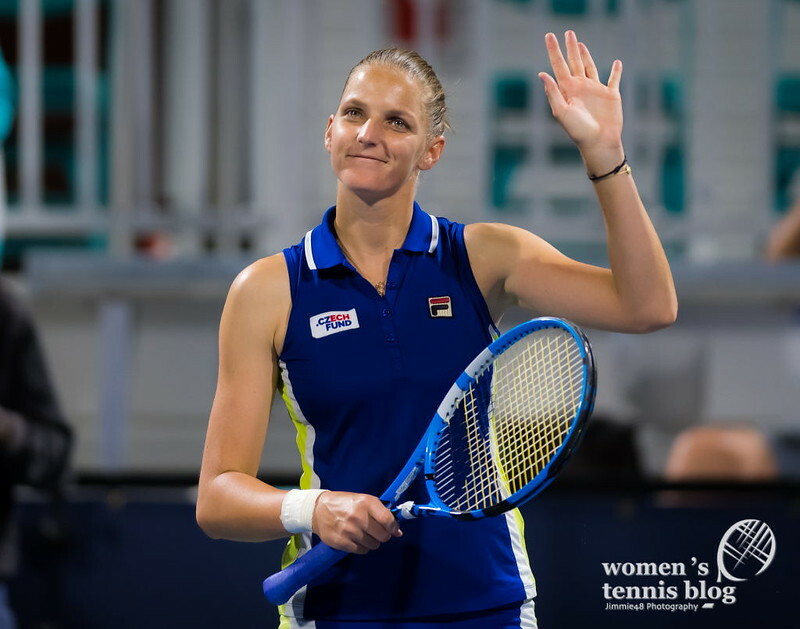 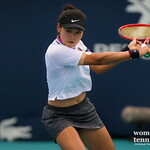 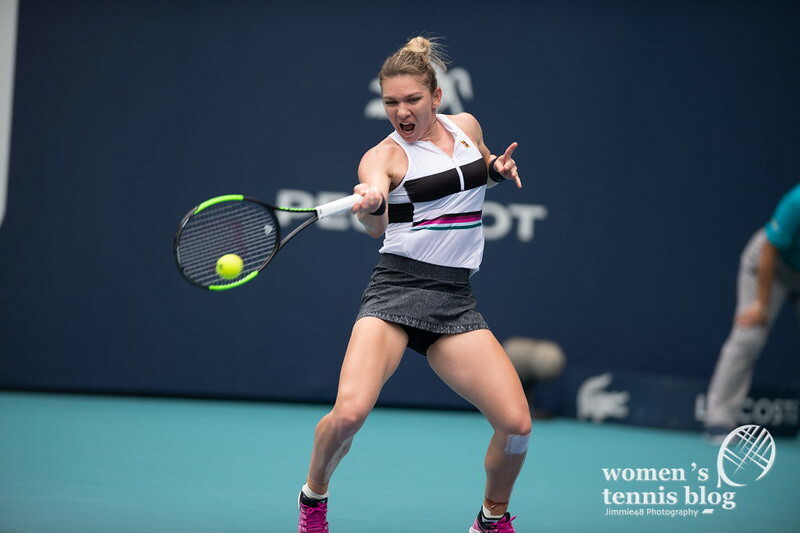 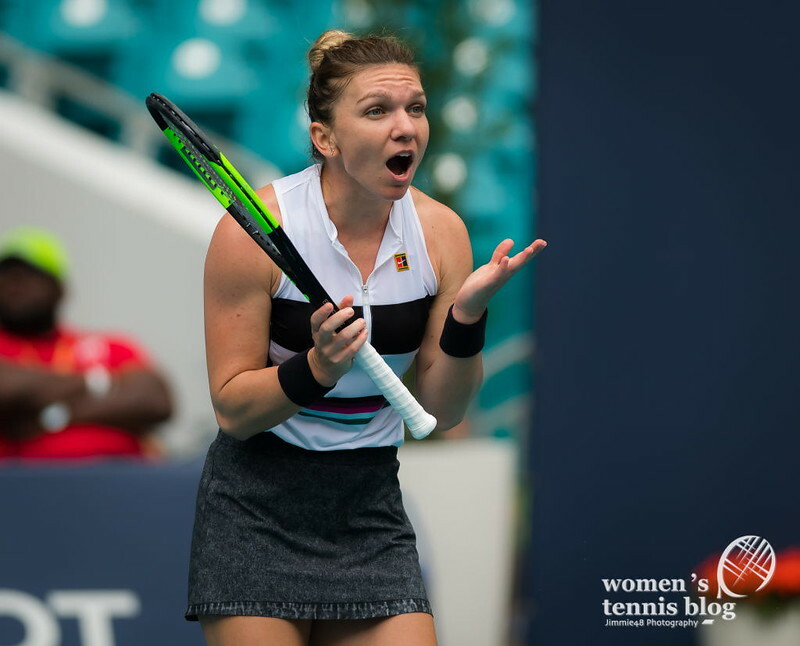 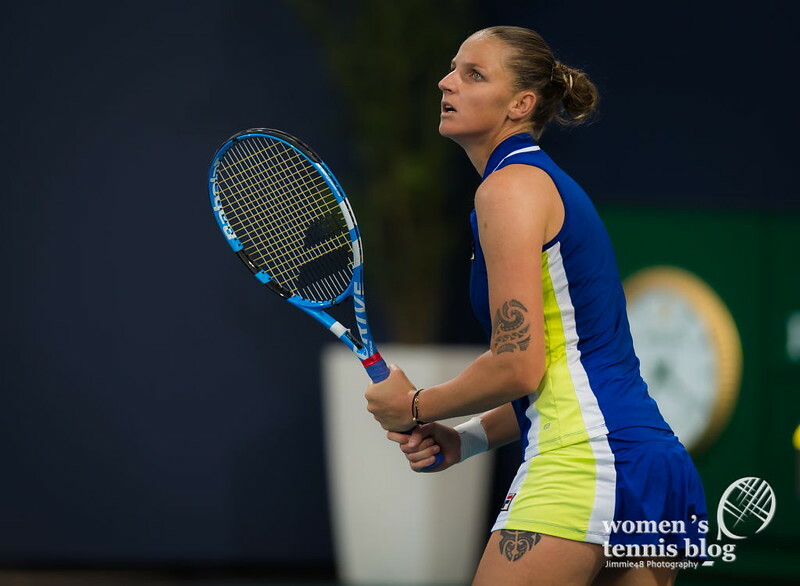 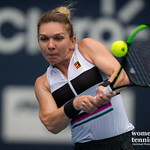 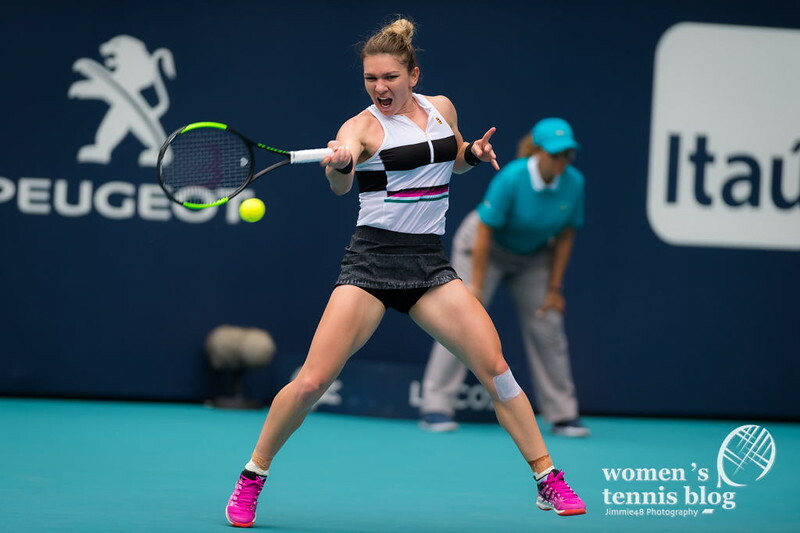 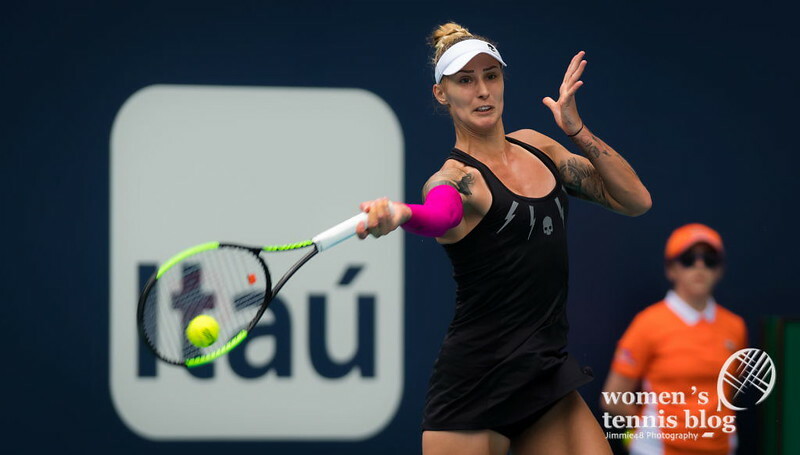 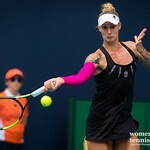 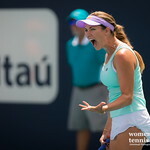 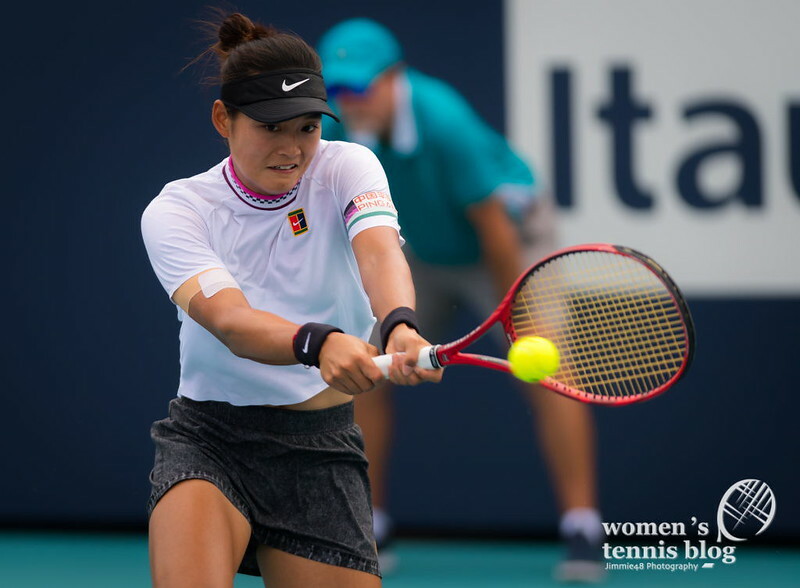 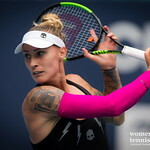 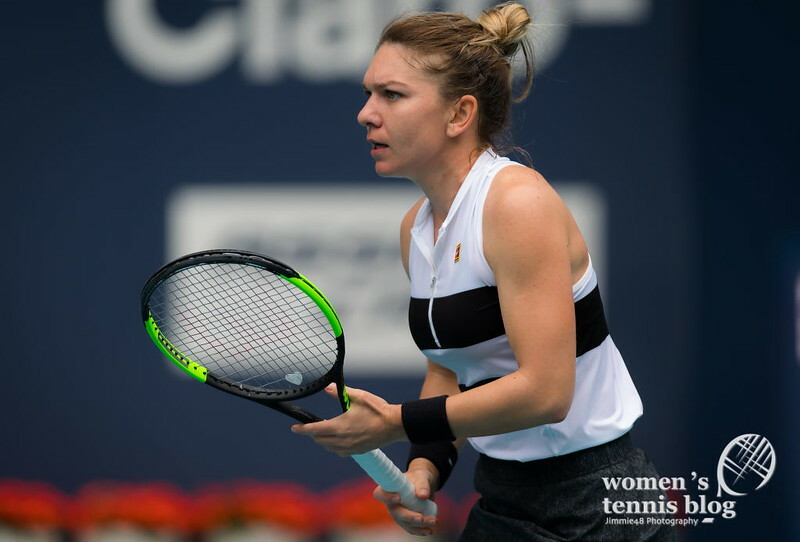 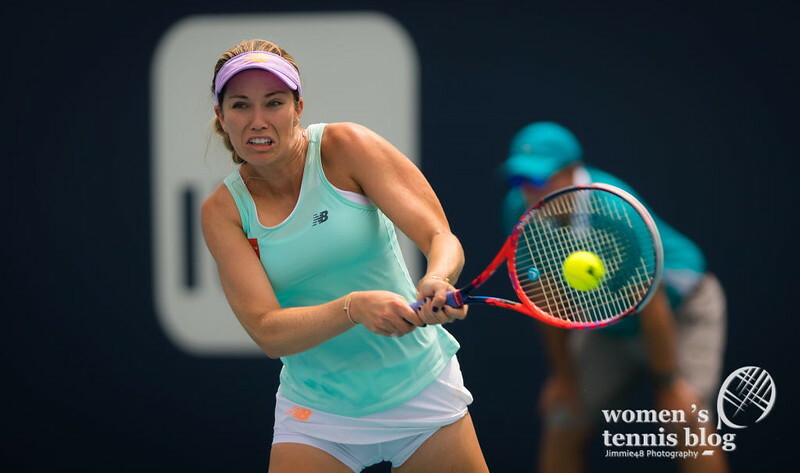 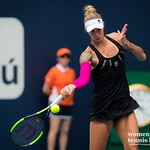 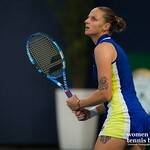 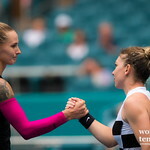 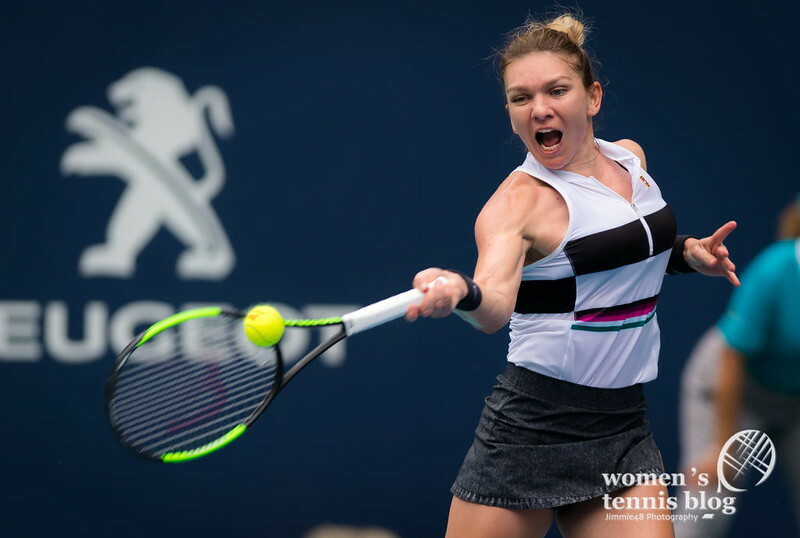 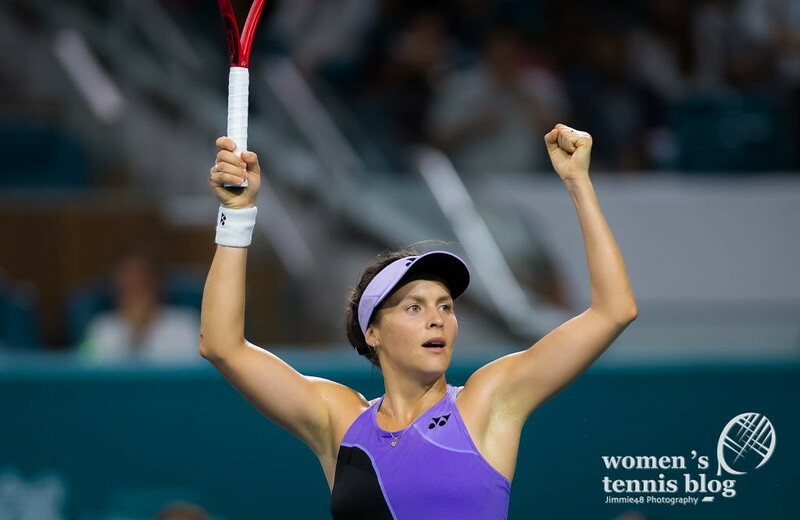 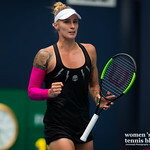 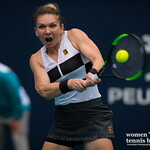 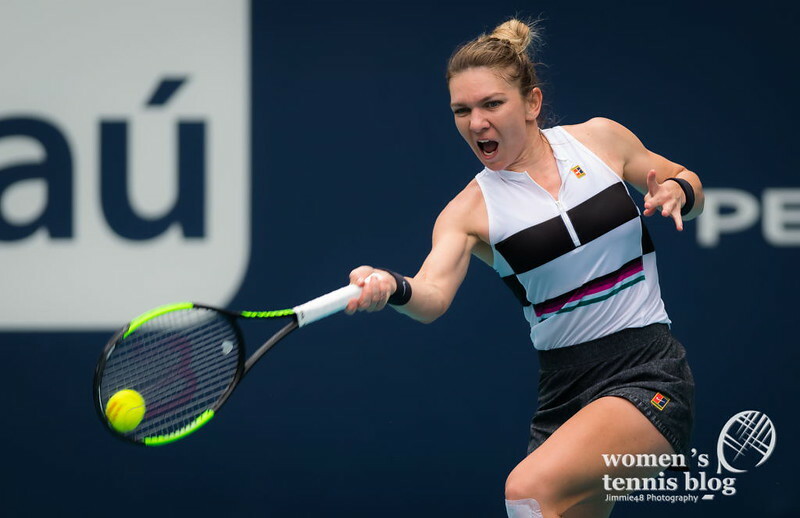 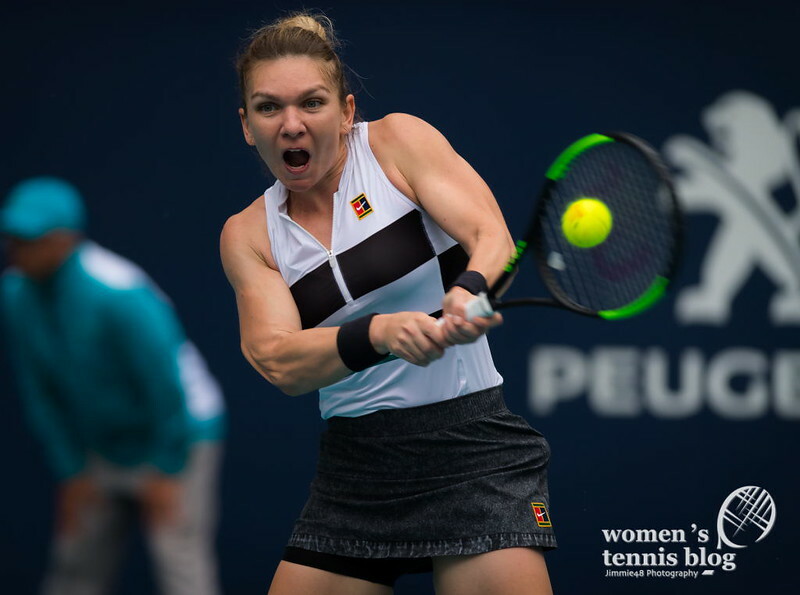 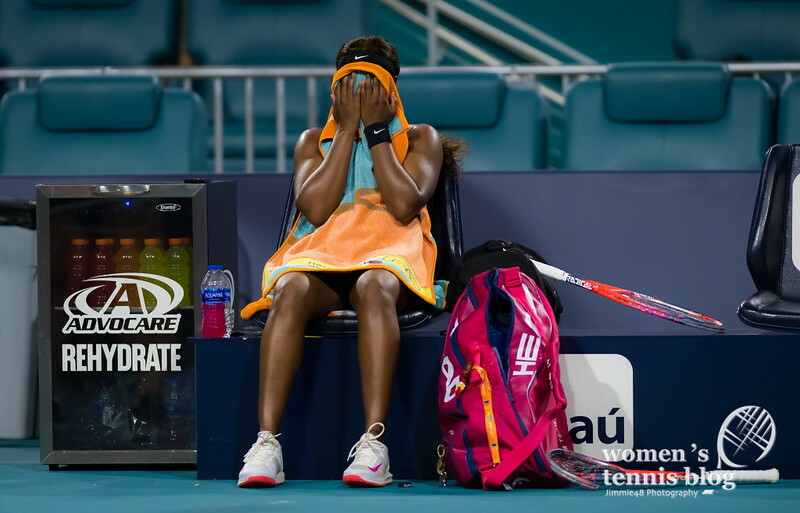 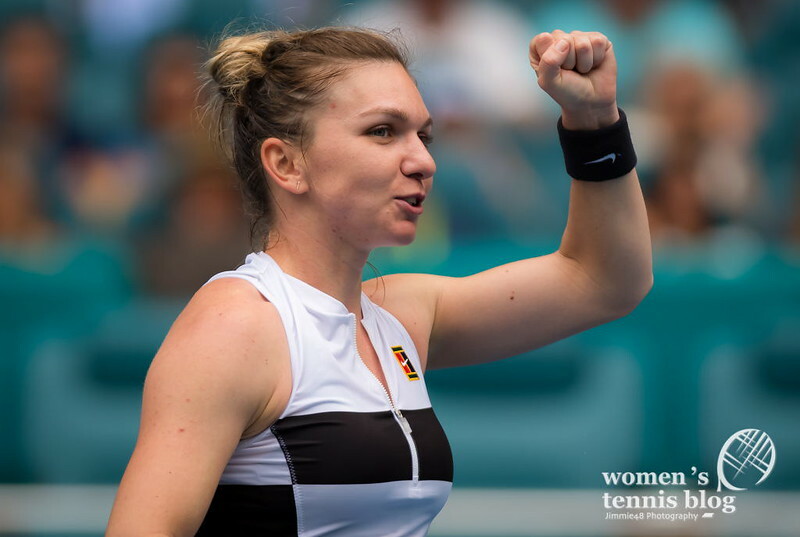 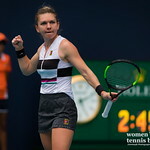 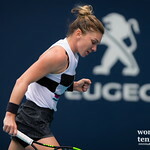 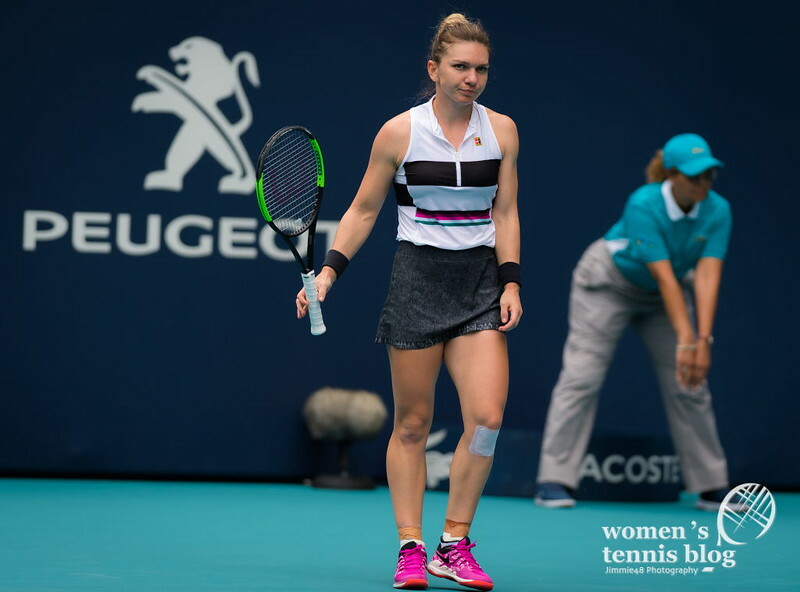 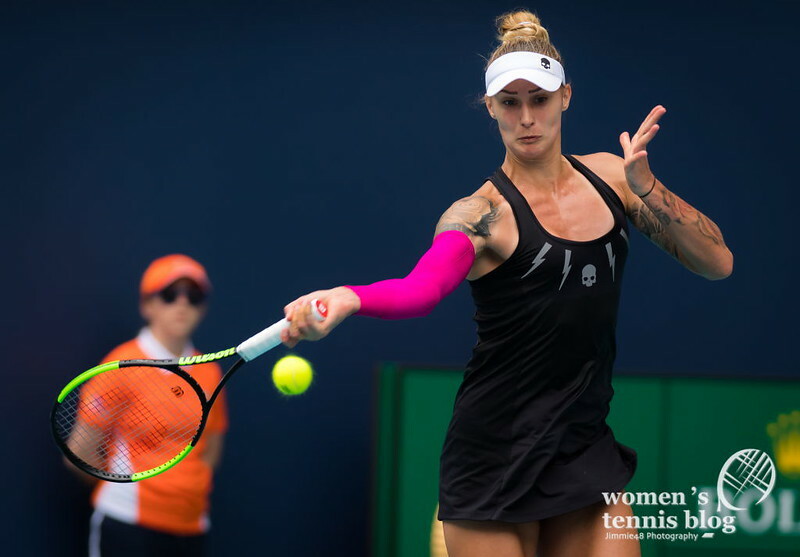 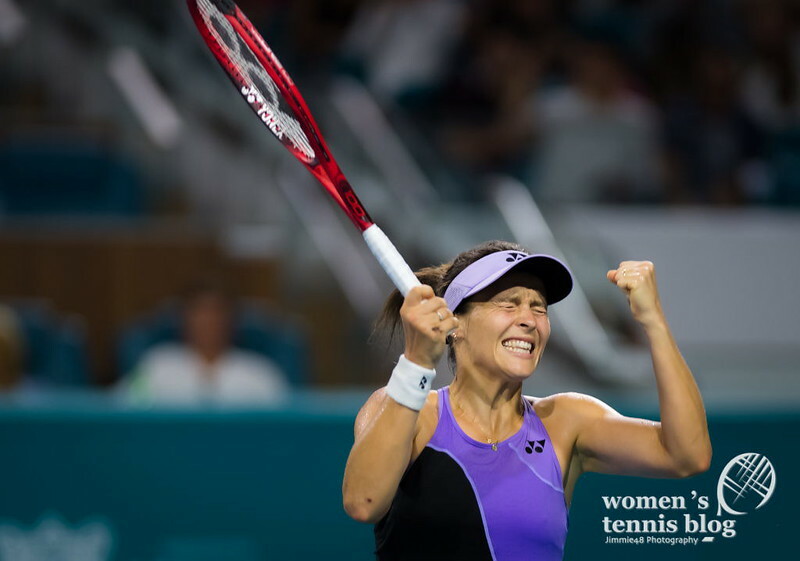 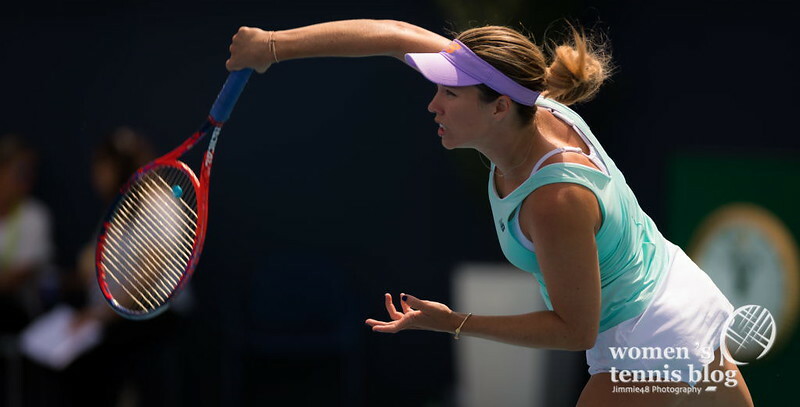 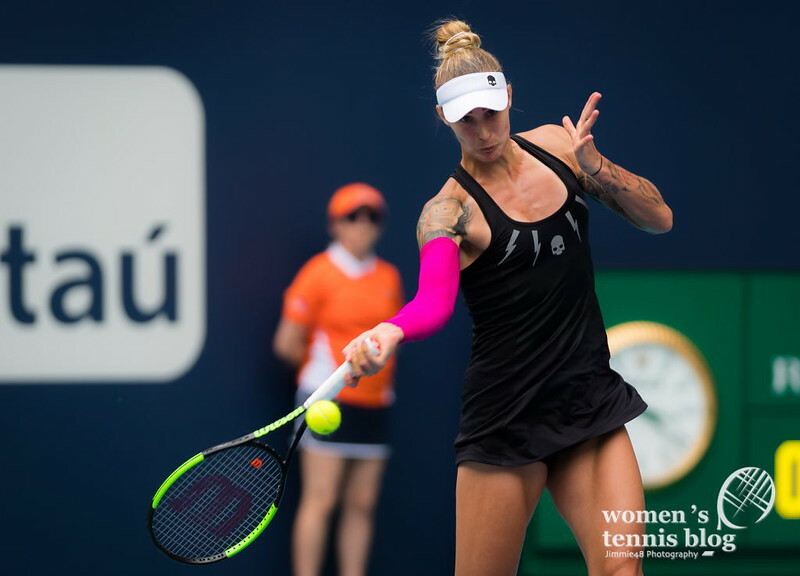 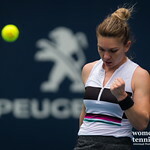 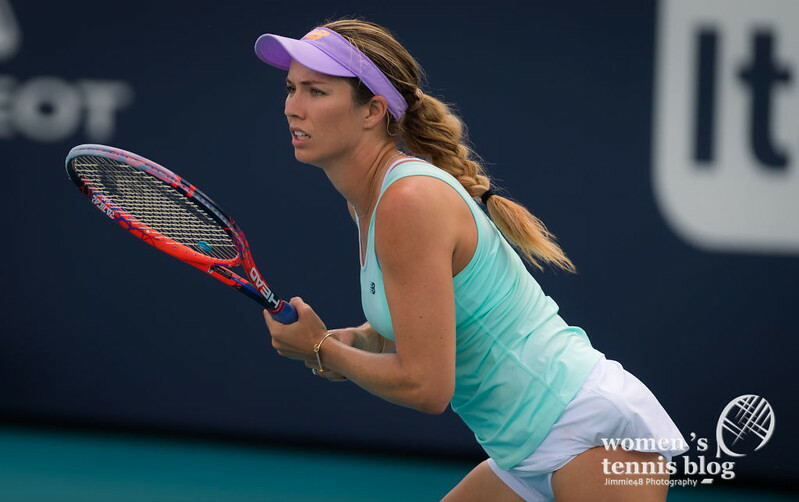 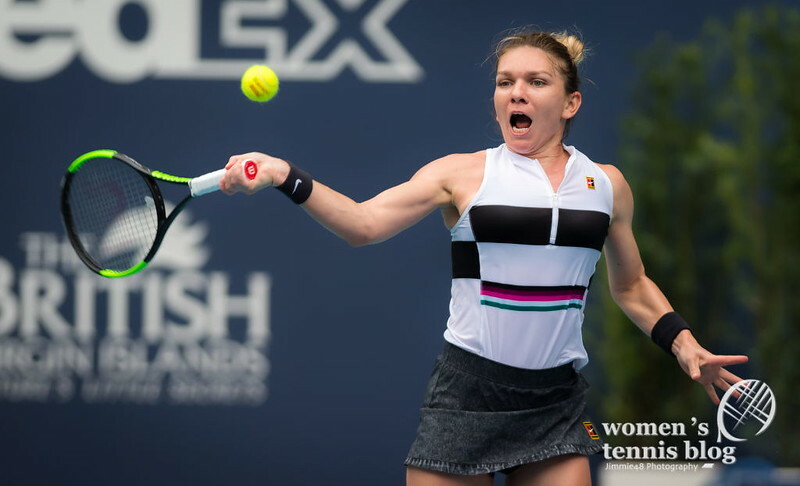 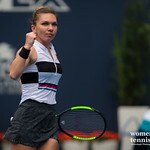 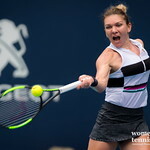 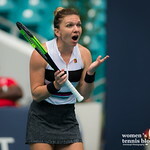 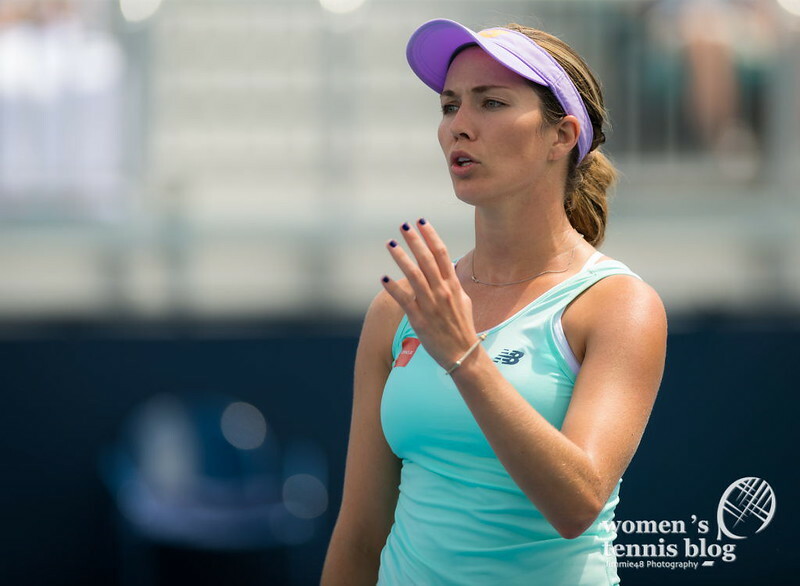 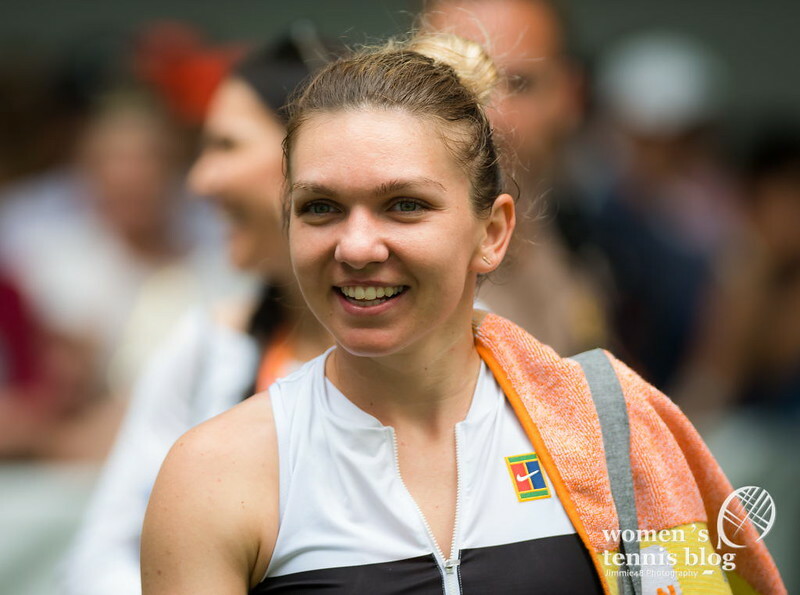 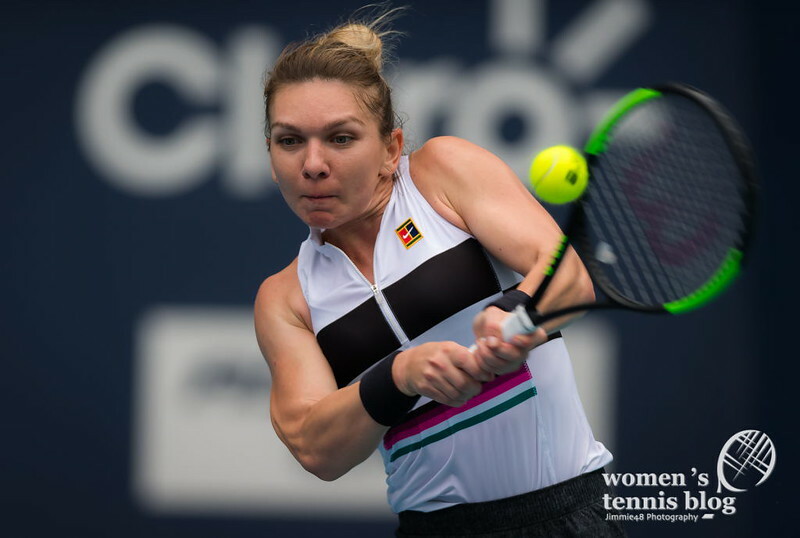 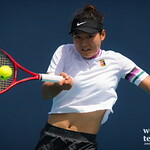 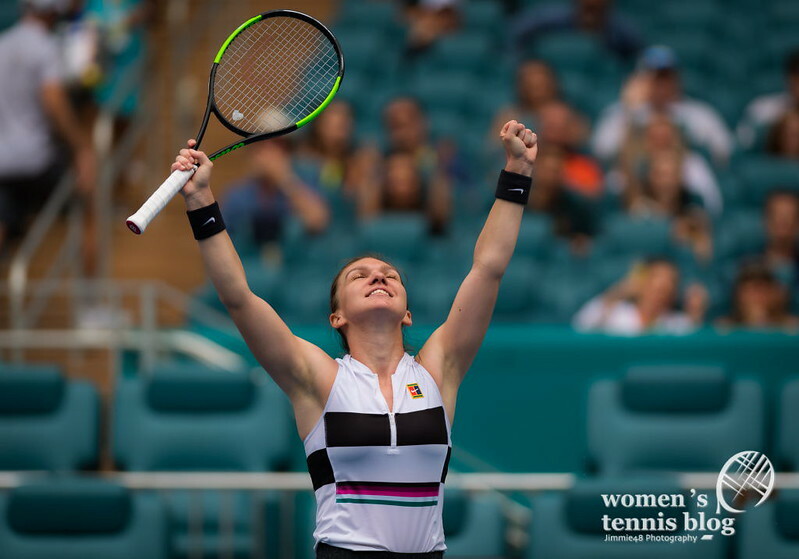 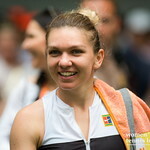 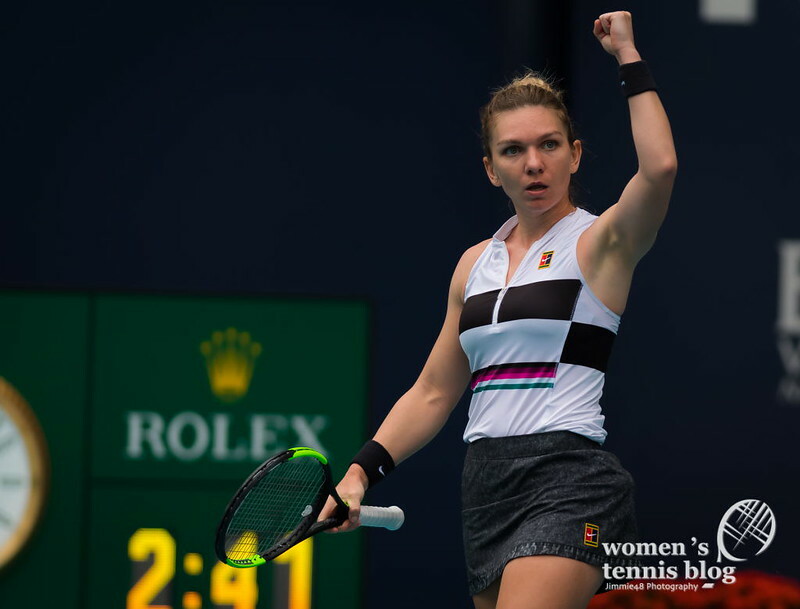 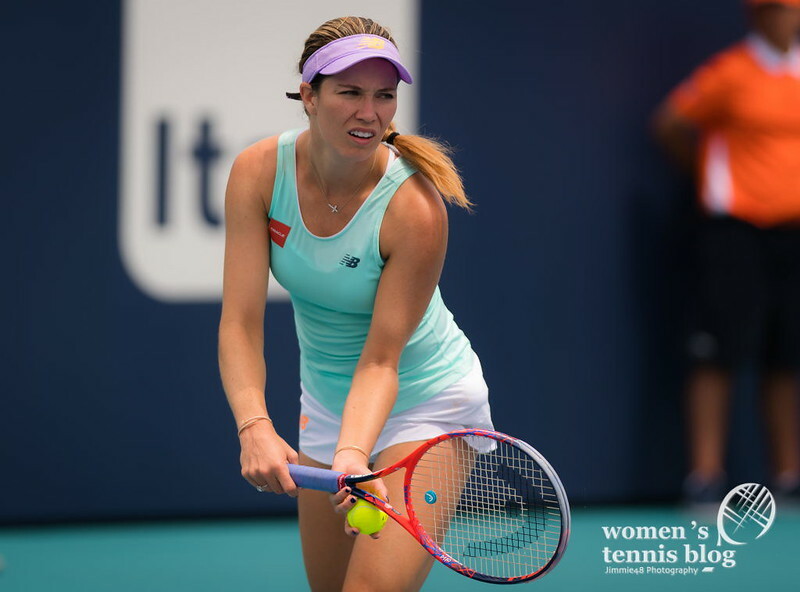 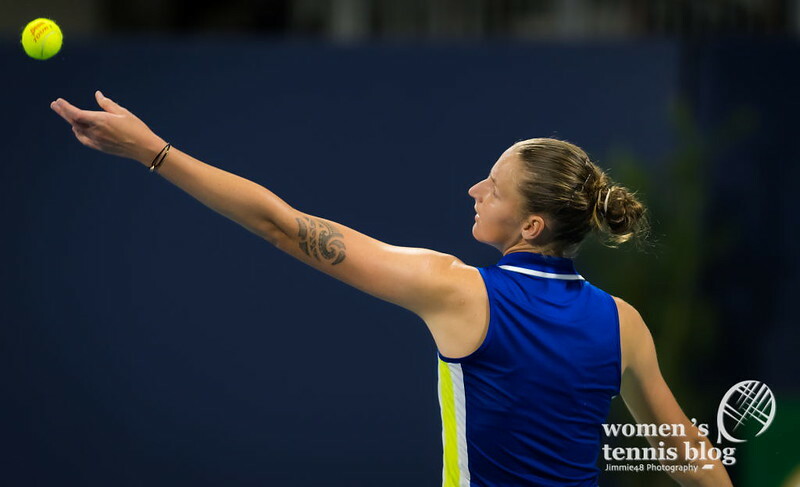 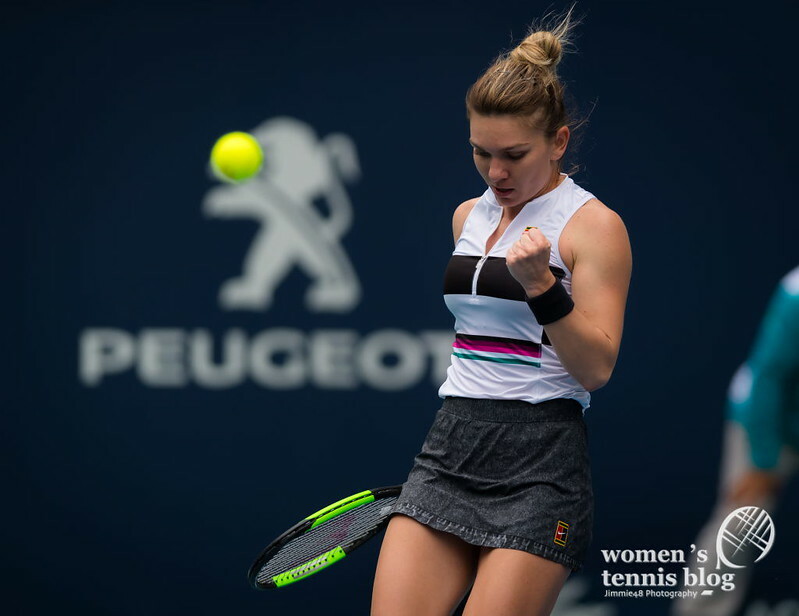 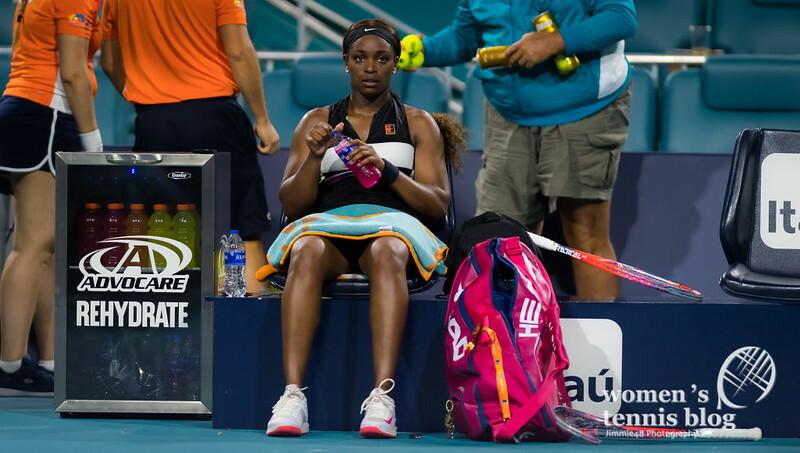 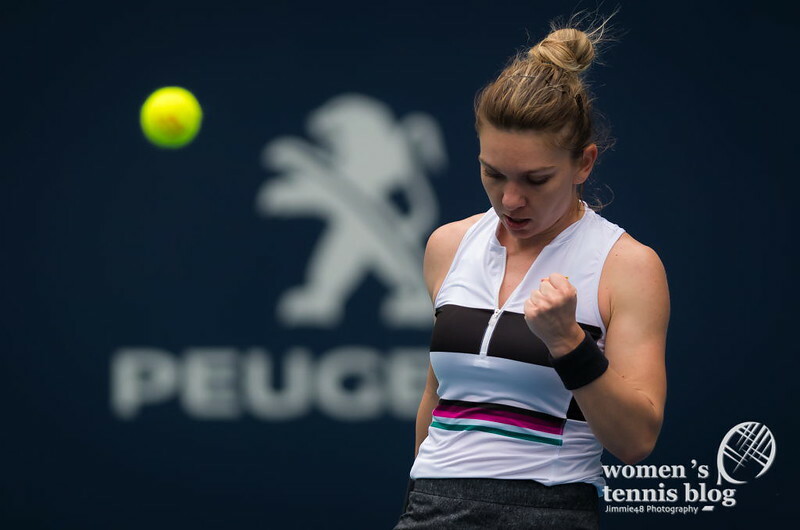 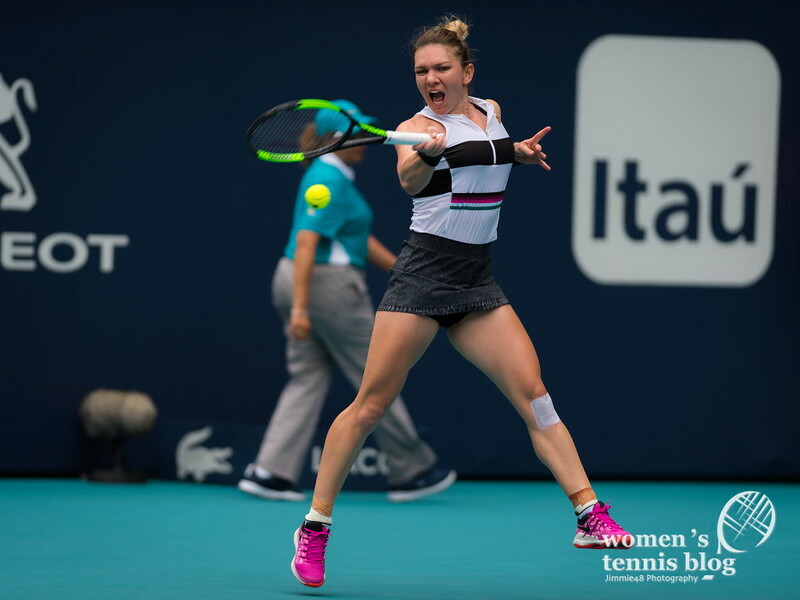 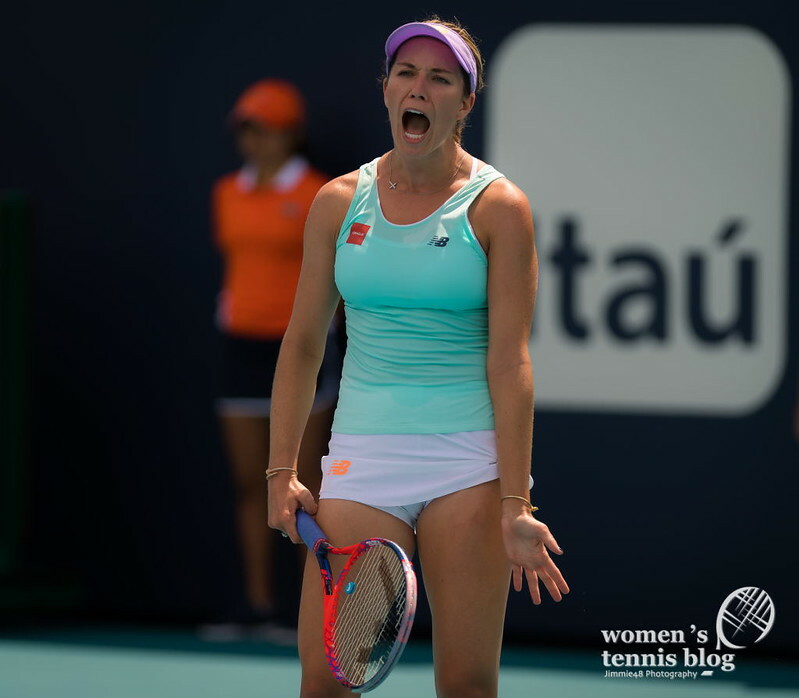 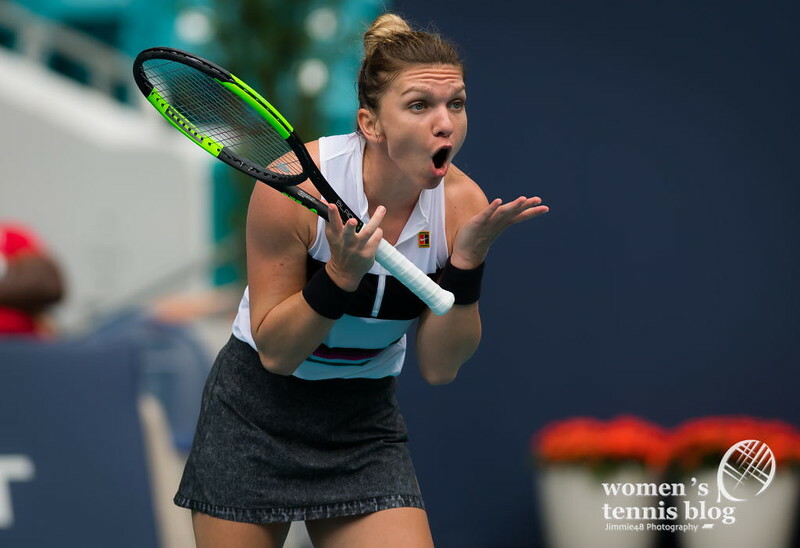 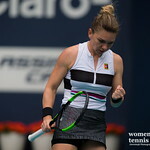 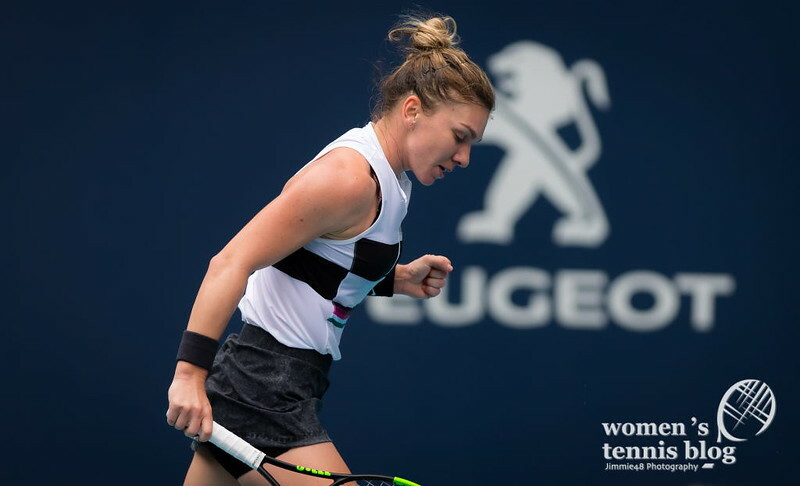 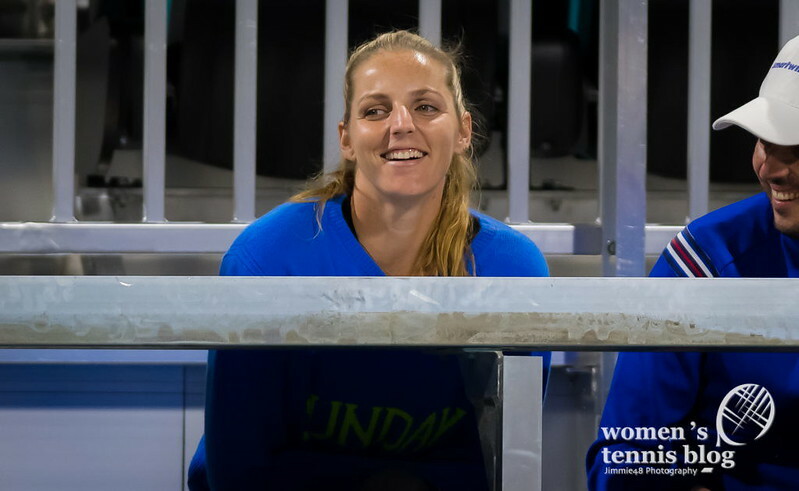 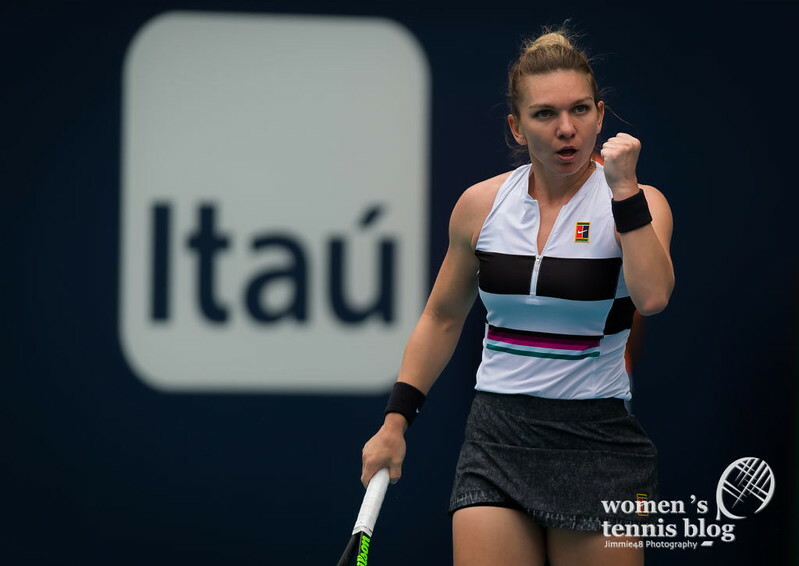 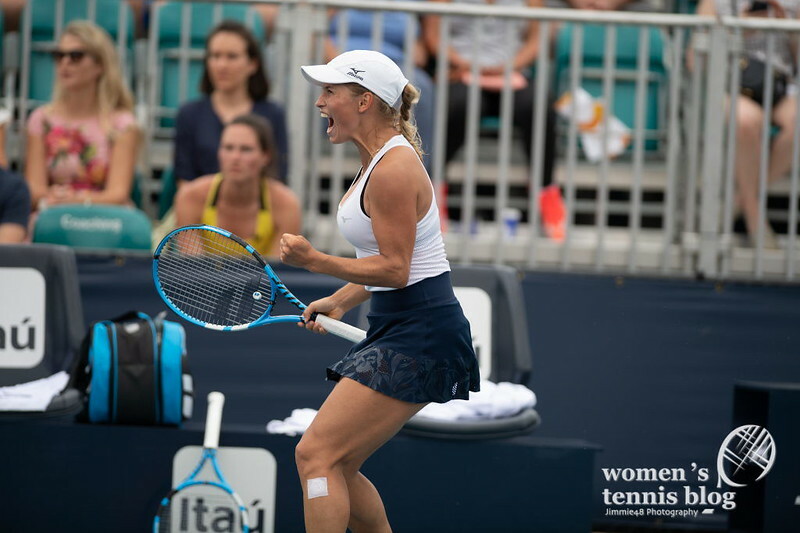 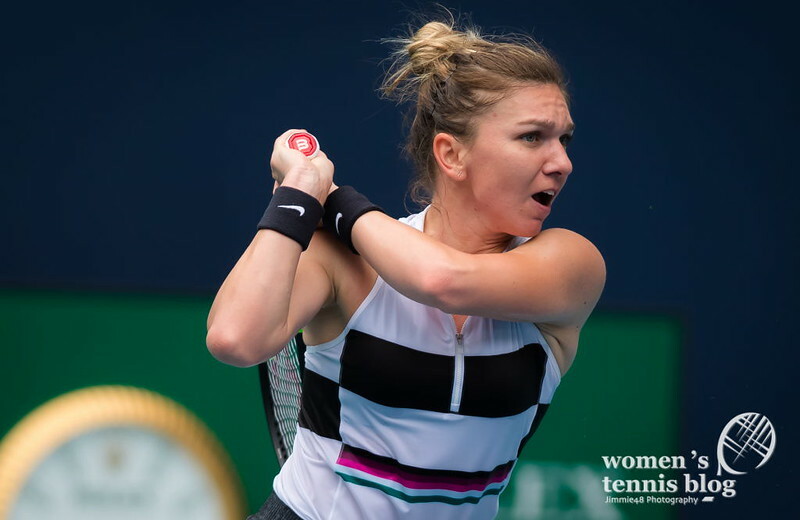 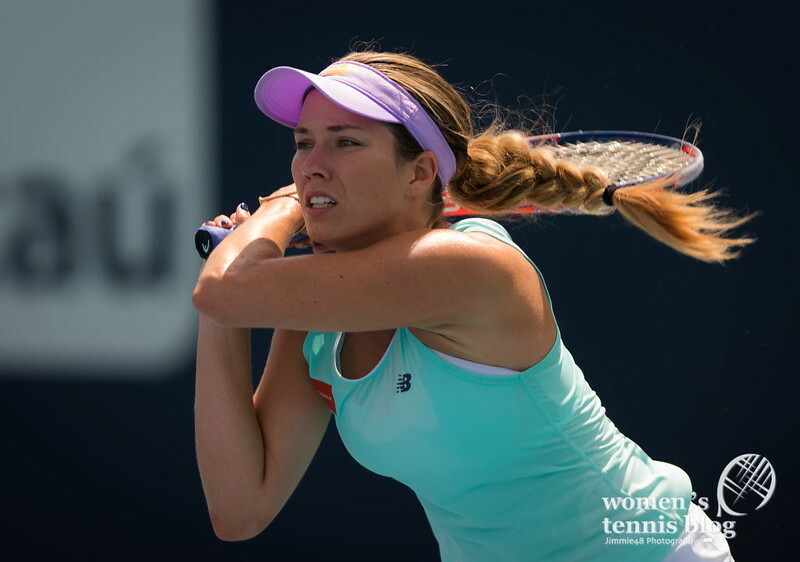 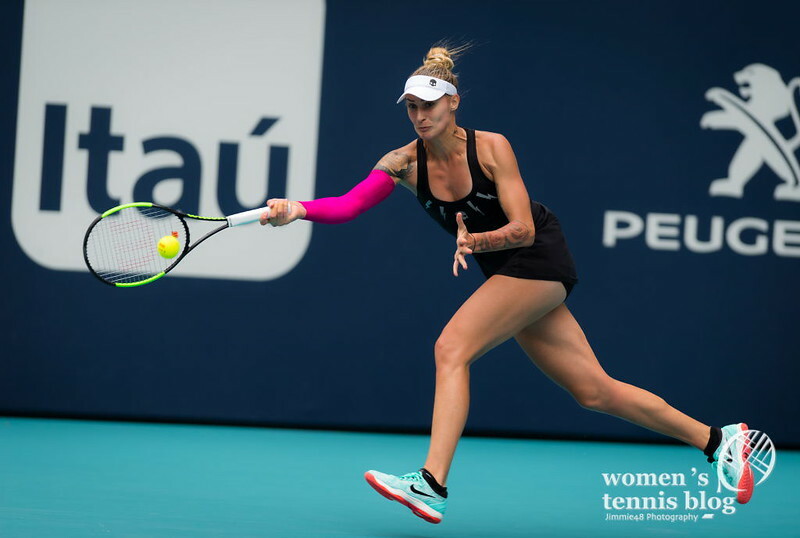 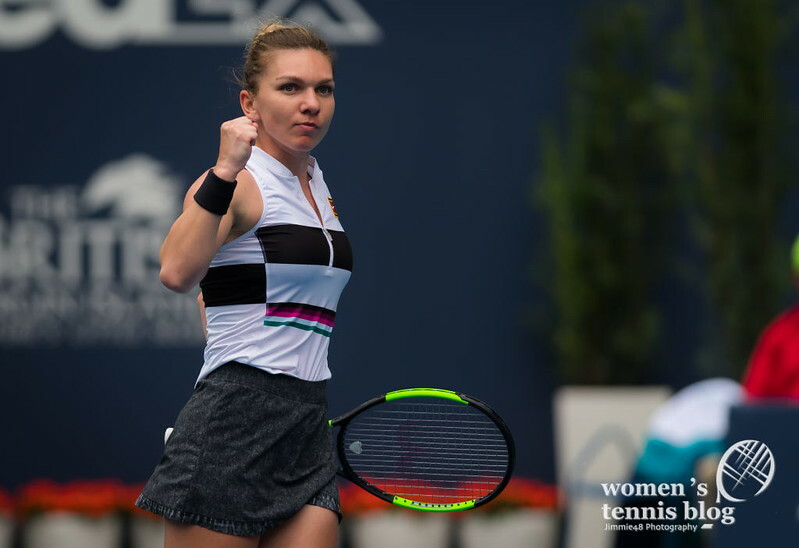 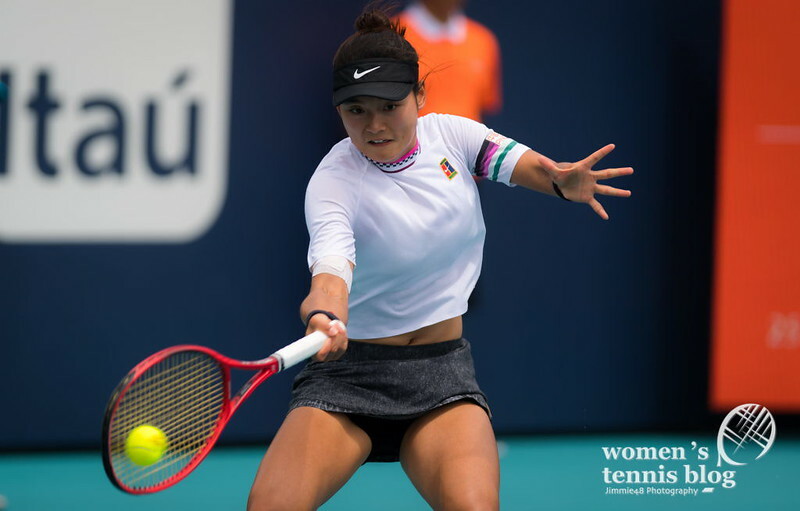 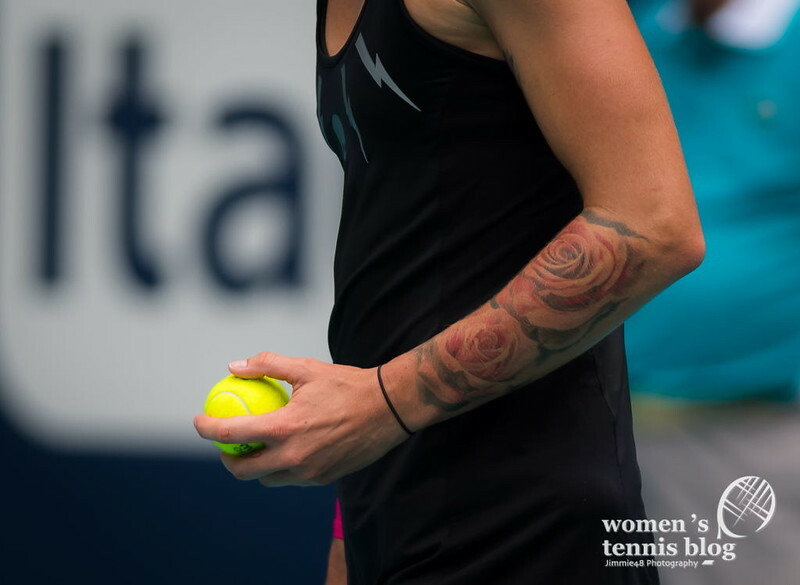 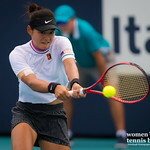 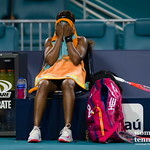 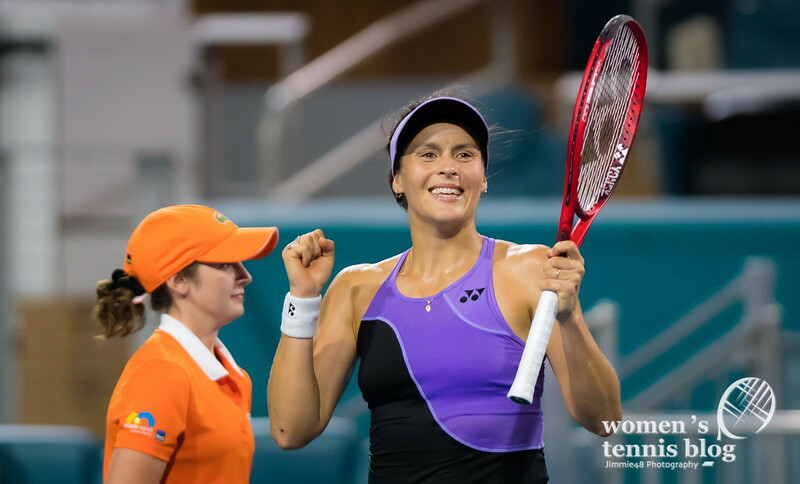 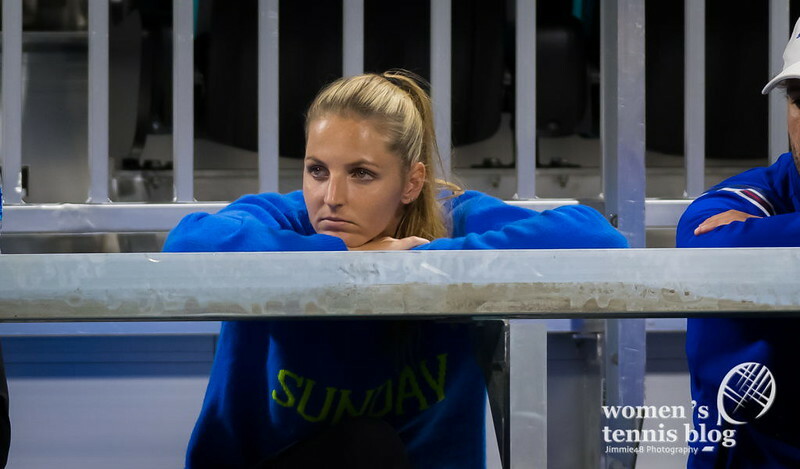 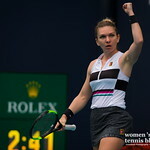 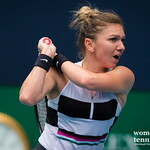 The bottom half of third-round matches completed on Sunday at the Miami Open and it was mostly a day of upsets, with the exceptions of Simona Halep and Karolina Pliskova surviving in three sets. 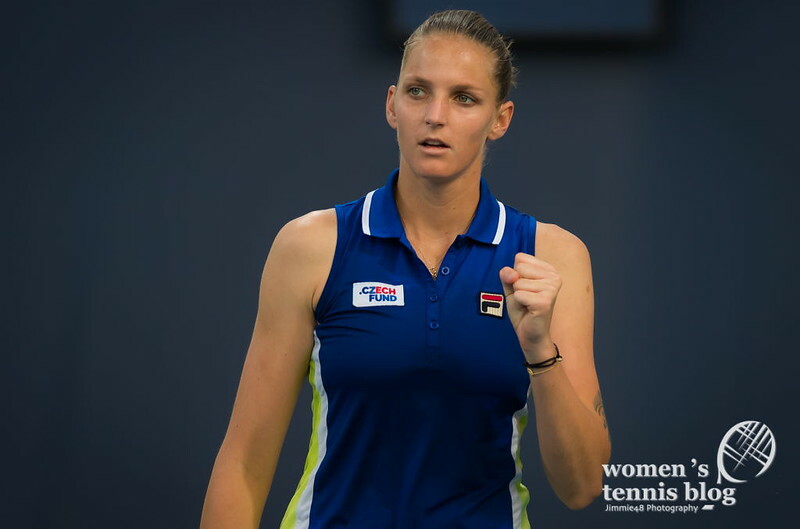 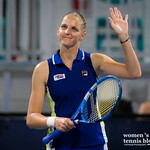 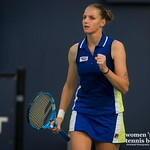 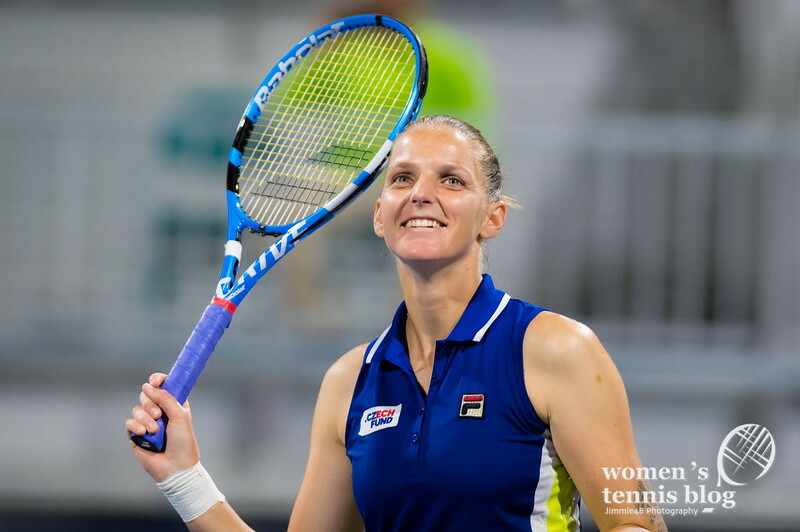 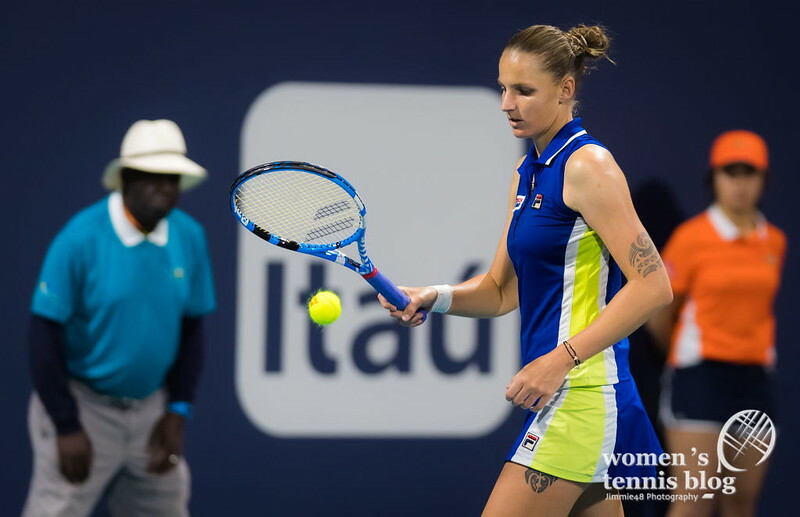 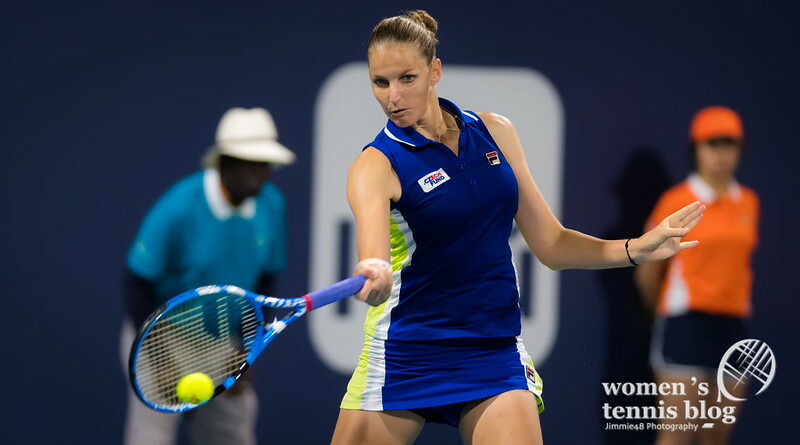 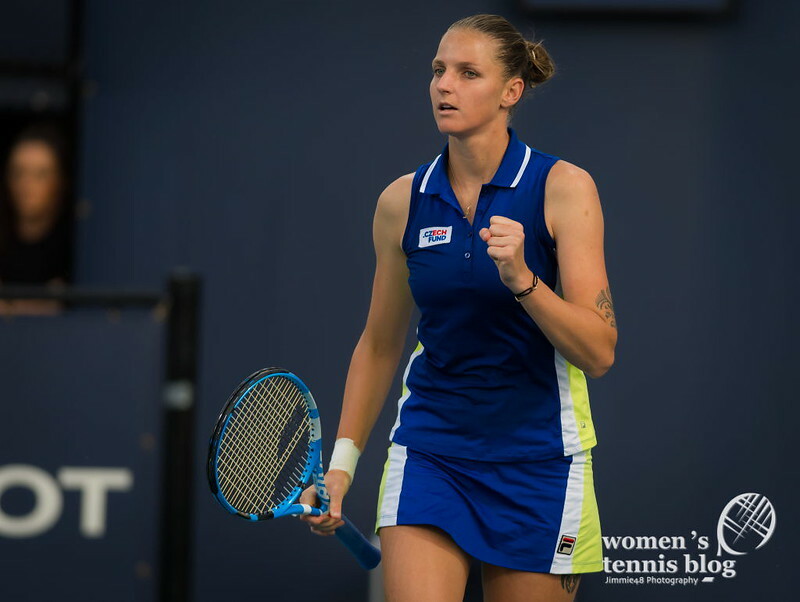 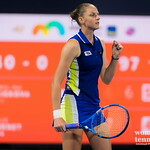 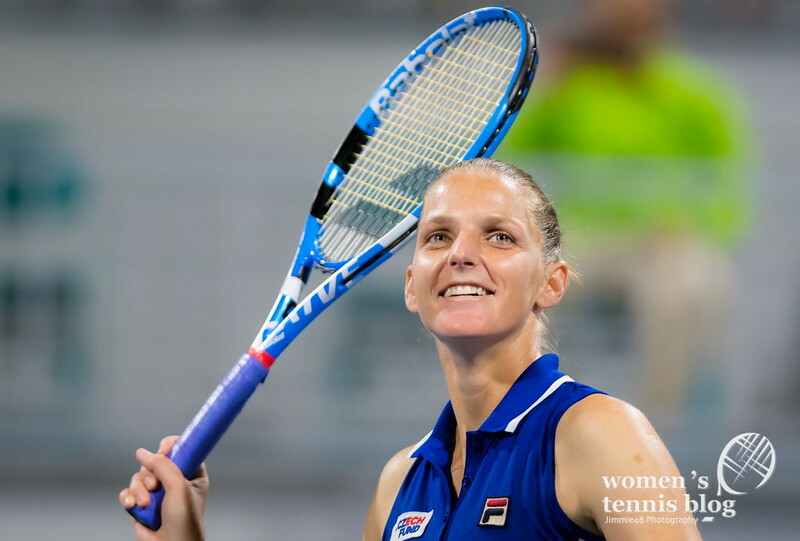 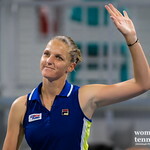 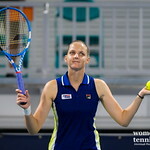 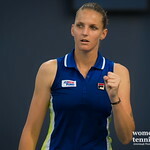 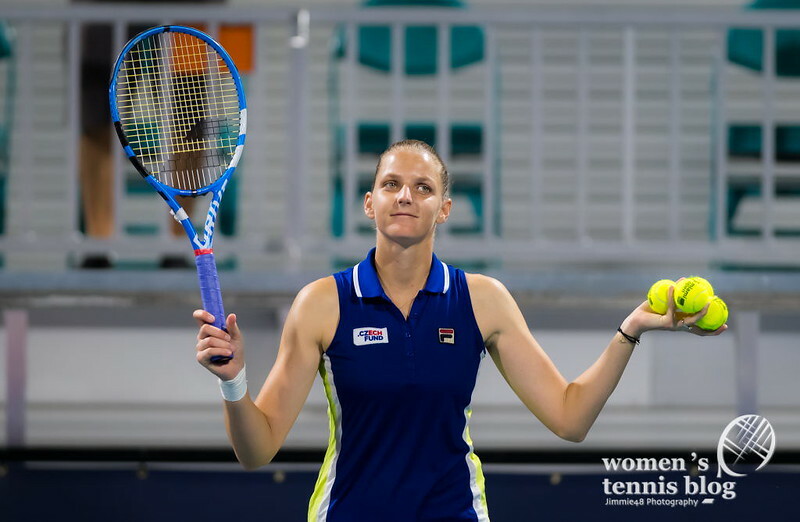 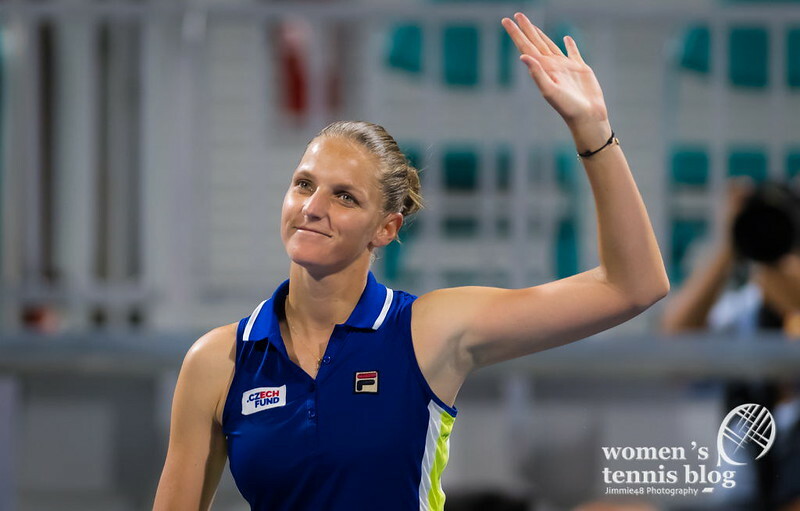 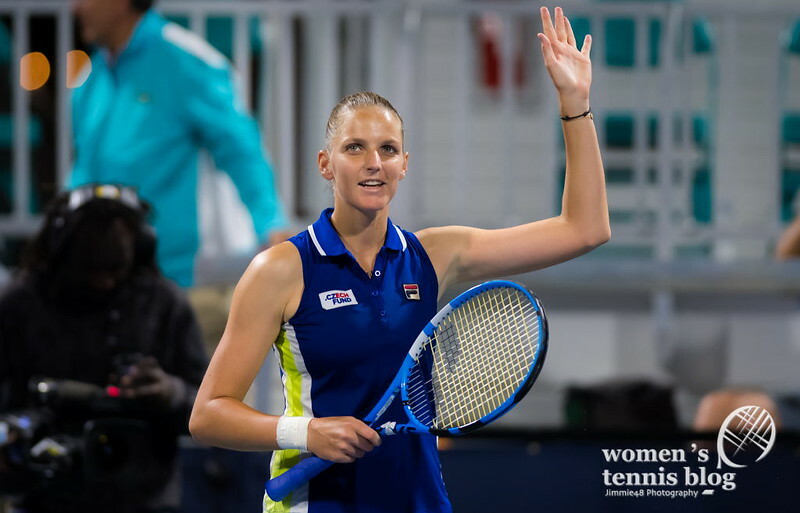 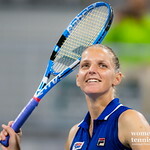 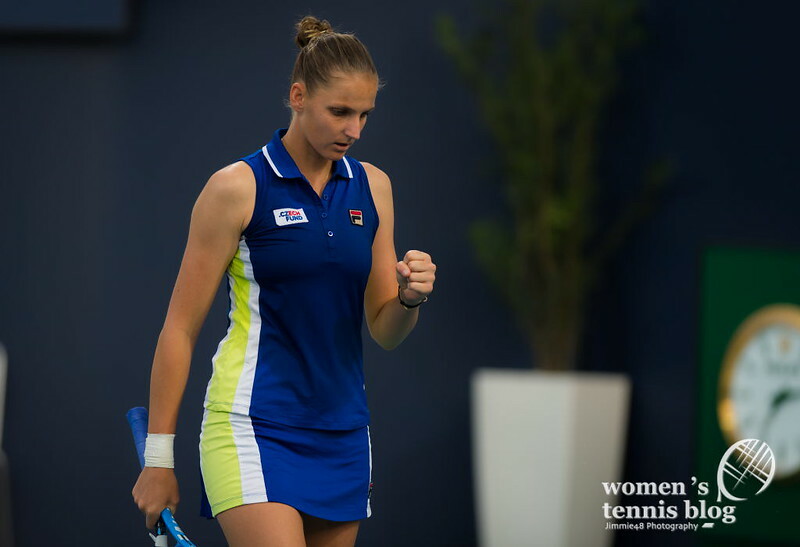 The fifth-seeded Pliskova also had a hard time, rallying to beat Alize Cornet 6-7(3) 6-1 6-4. 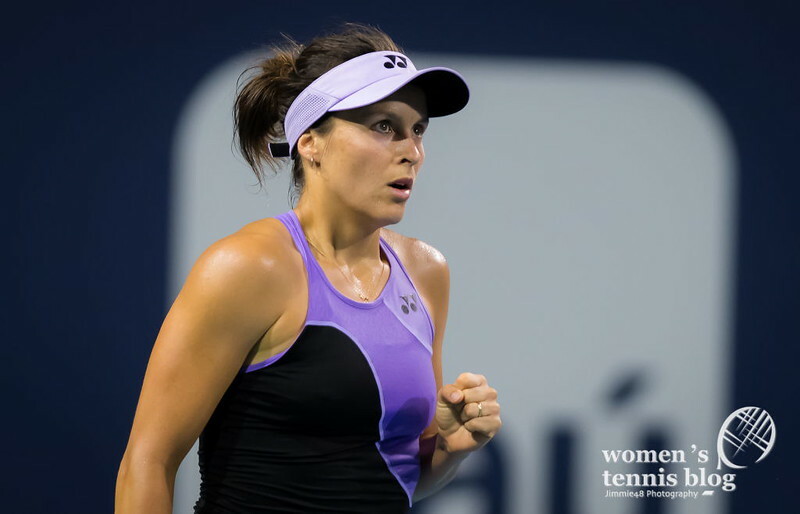 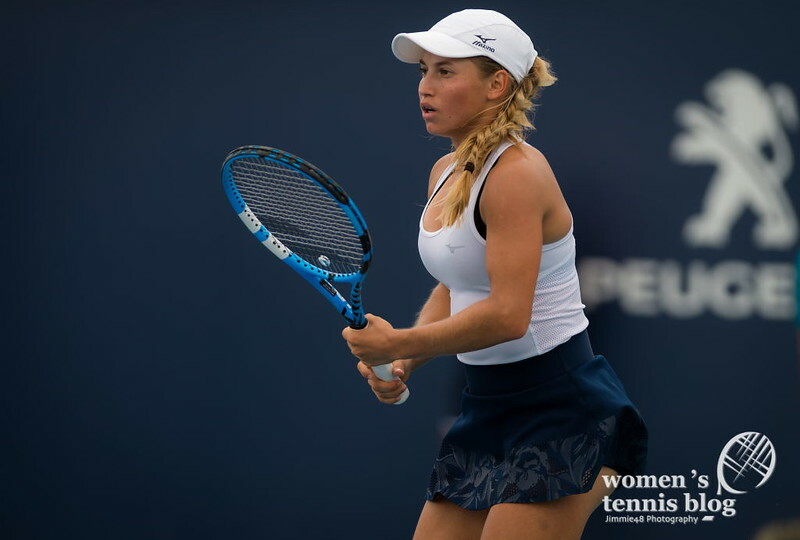 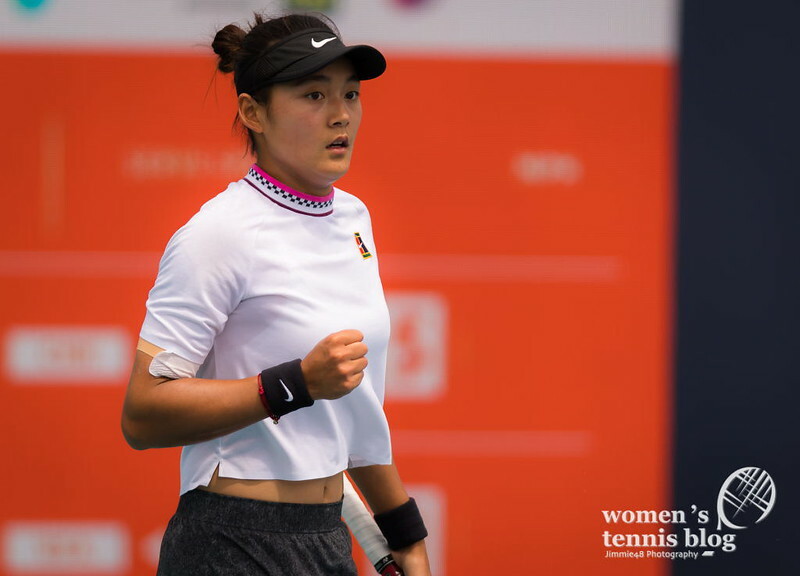 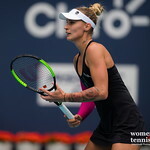 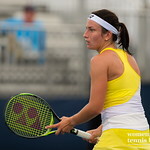 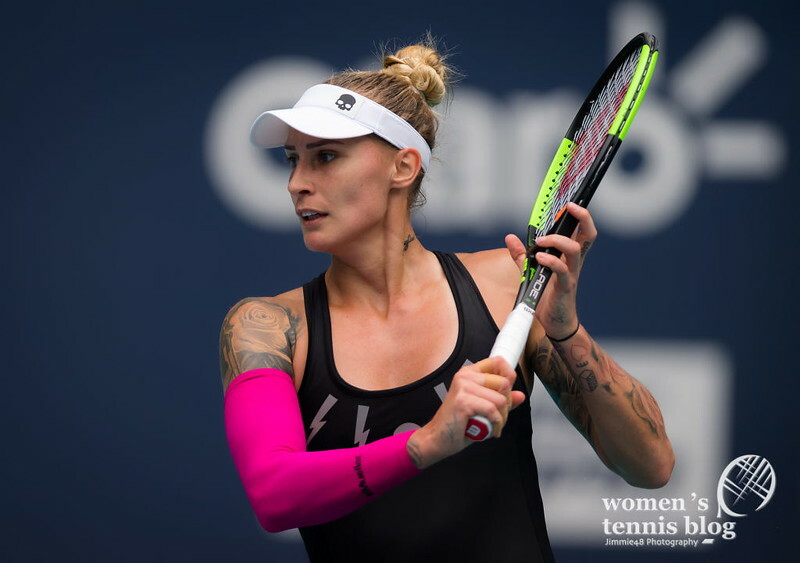 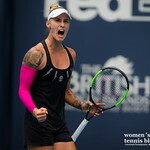 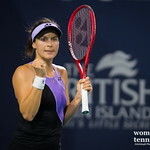 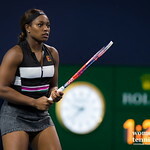 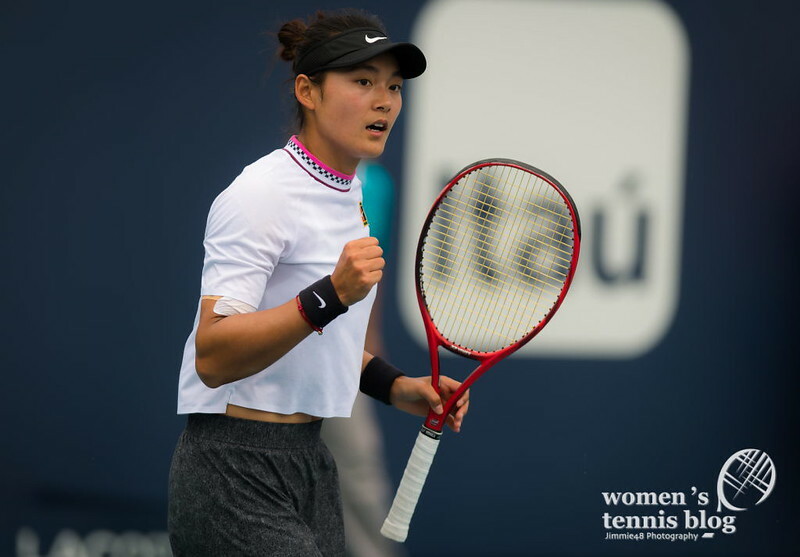 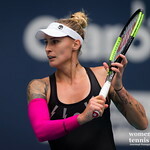 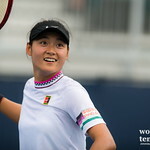 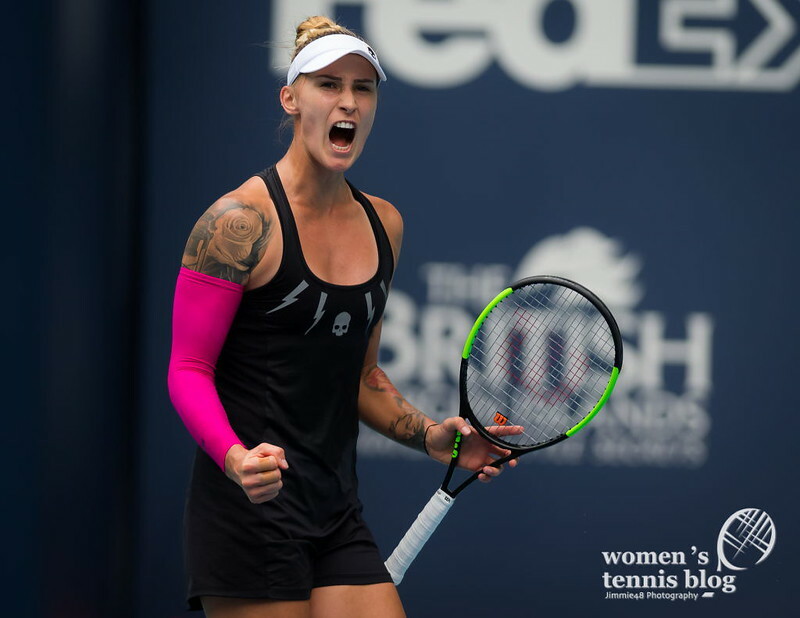 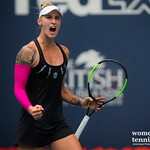 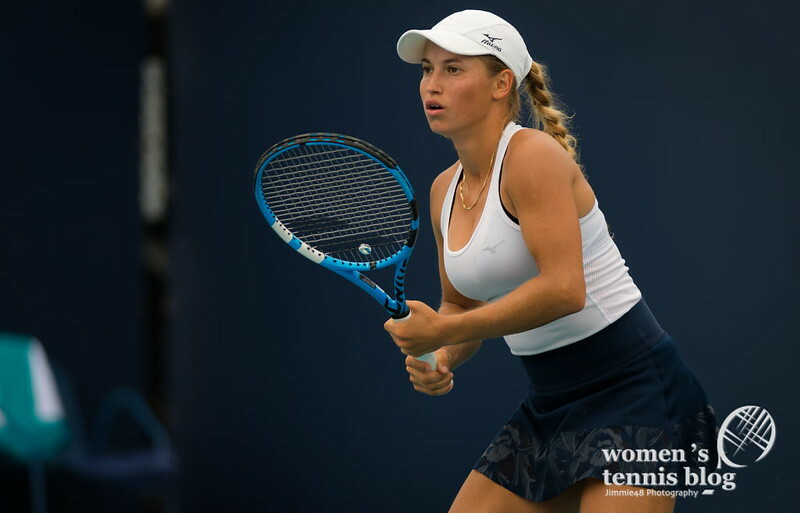 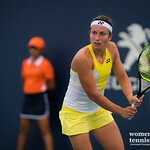 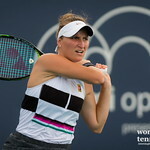 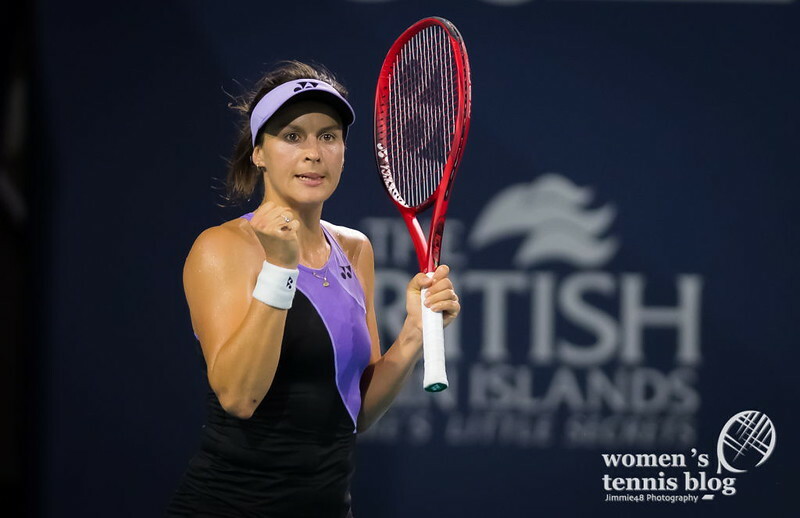 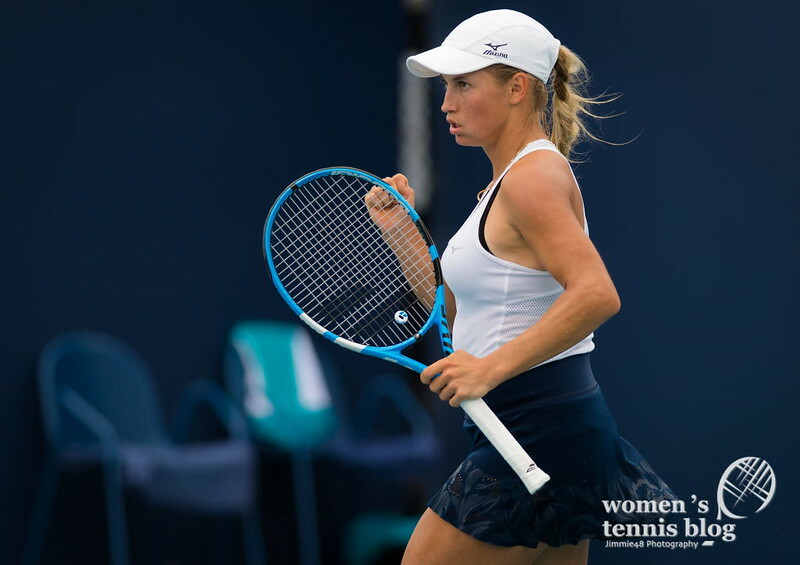 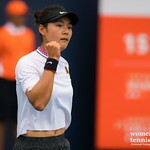 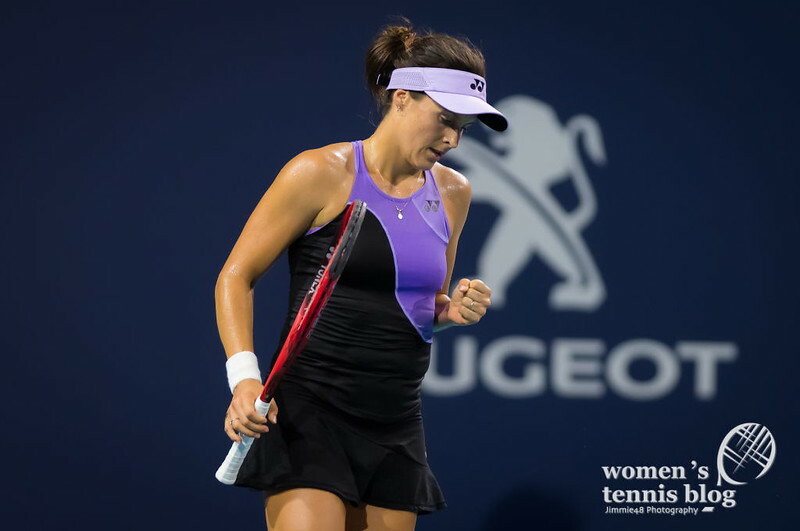 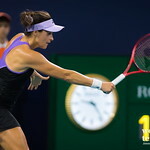 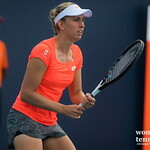 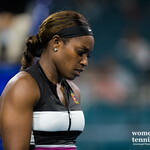 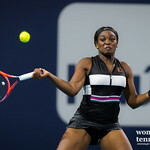 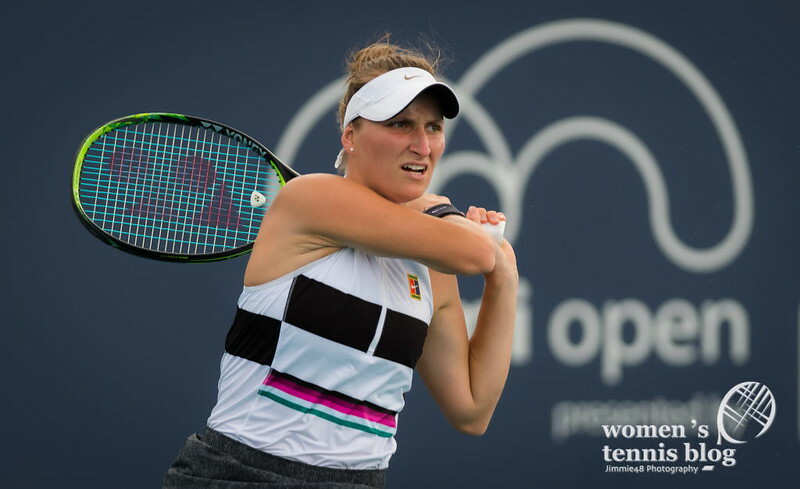 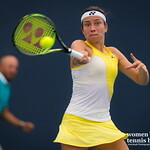 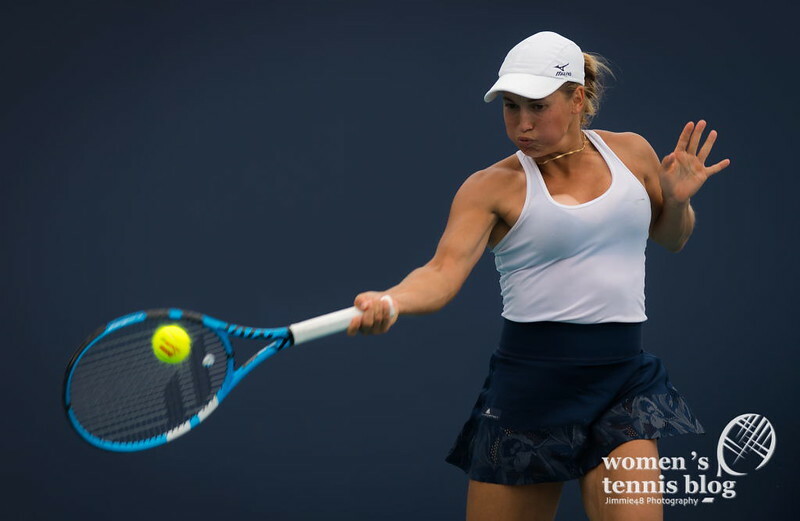 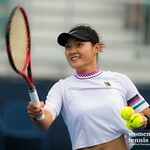 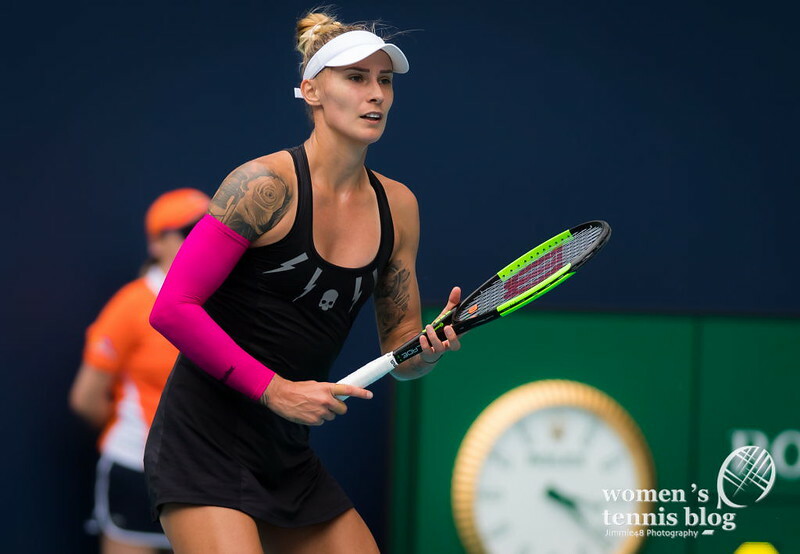 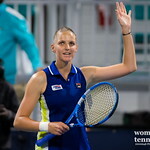 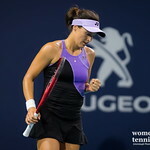 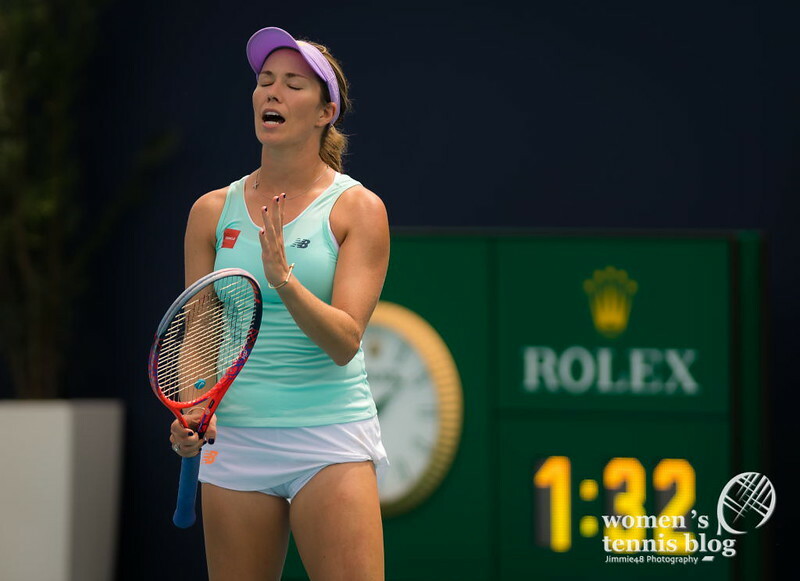 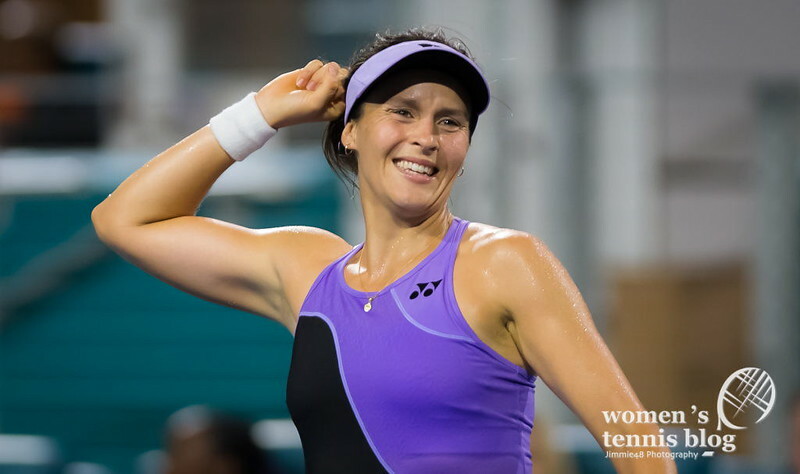 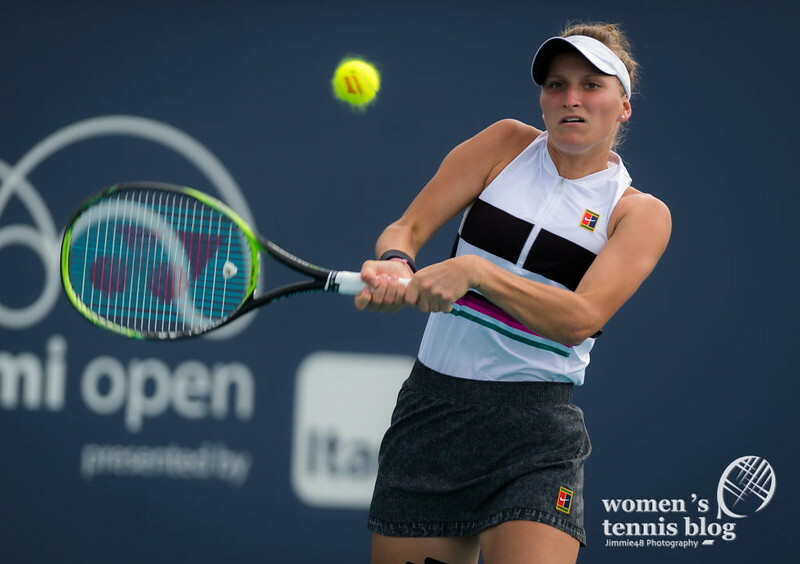 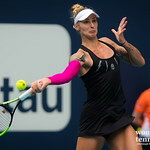 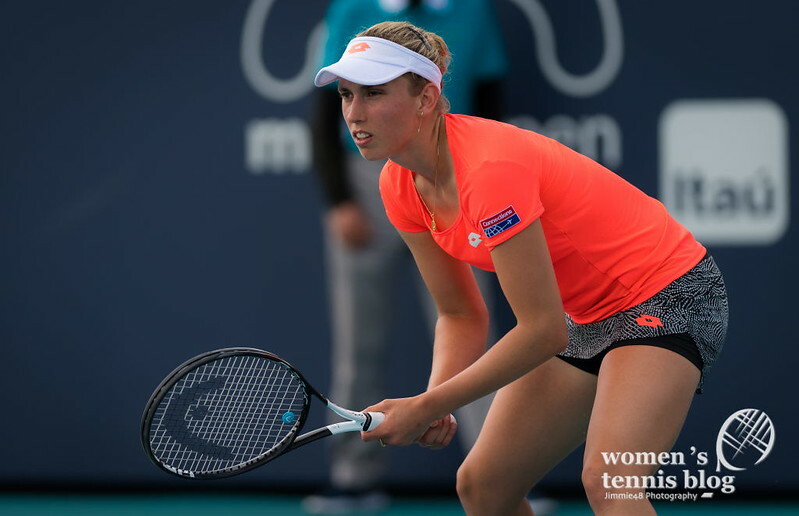 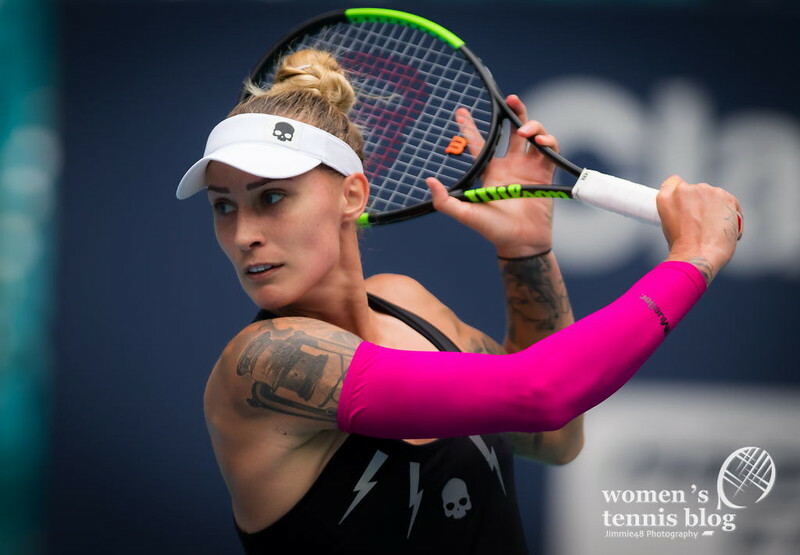 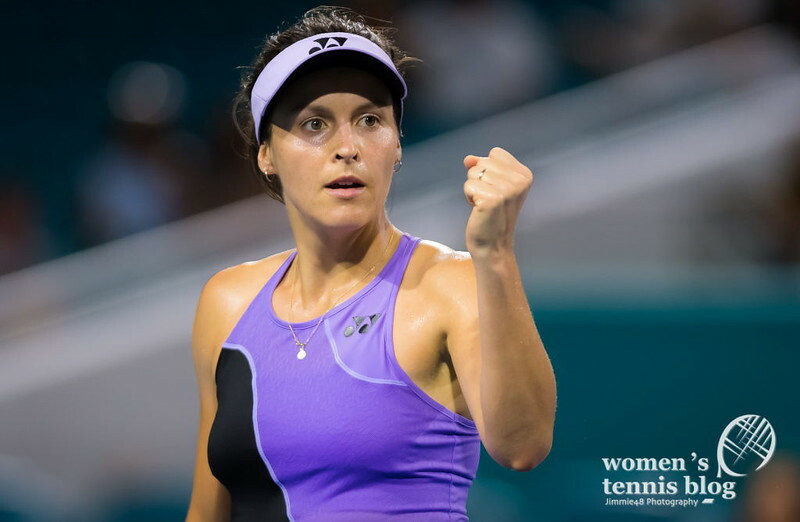 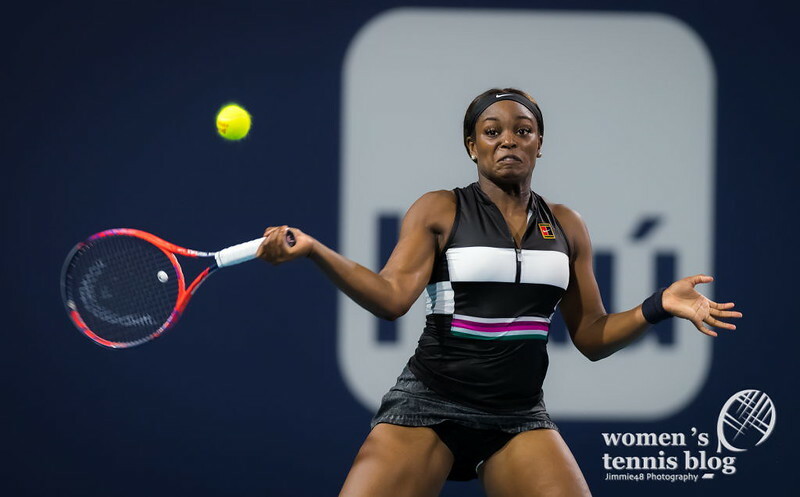 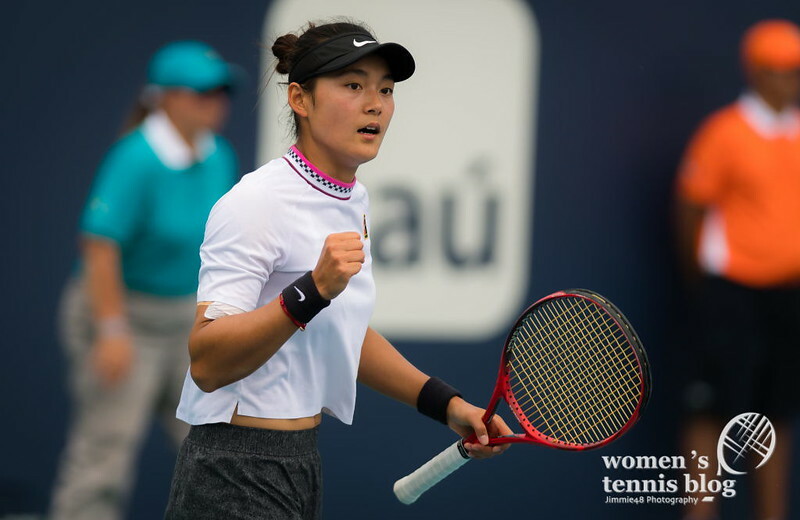 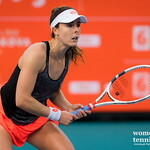 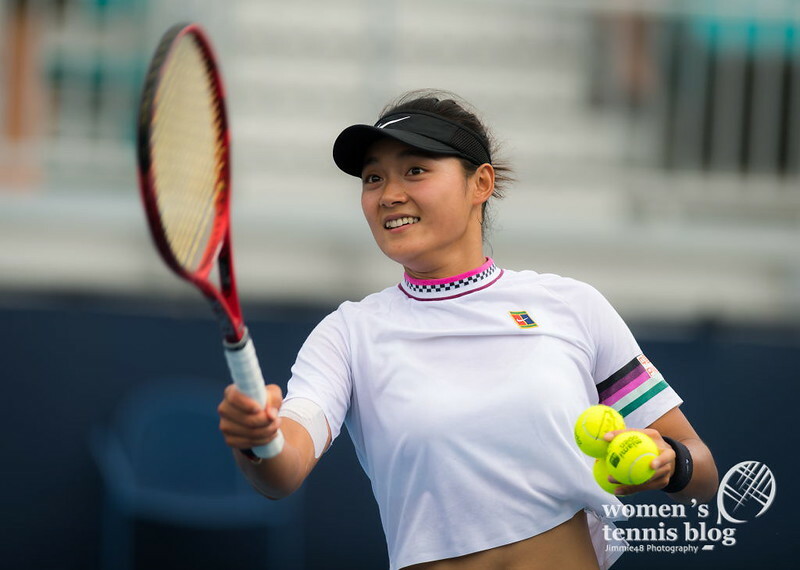 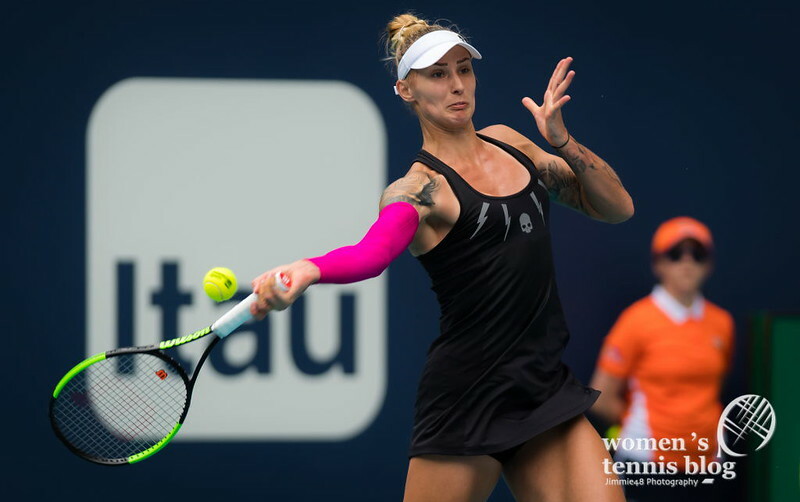 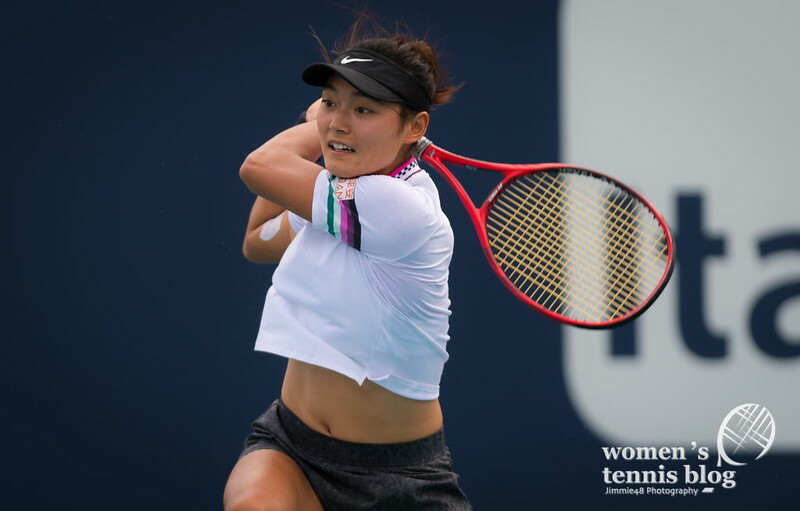 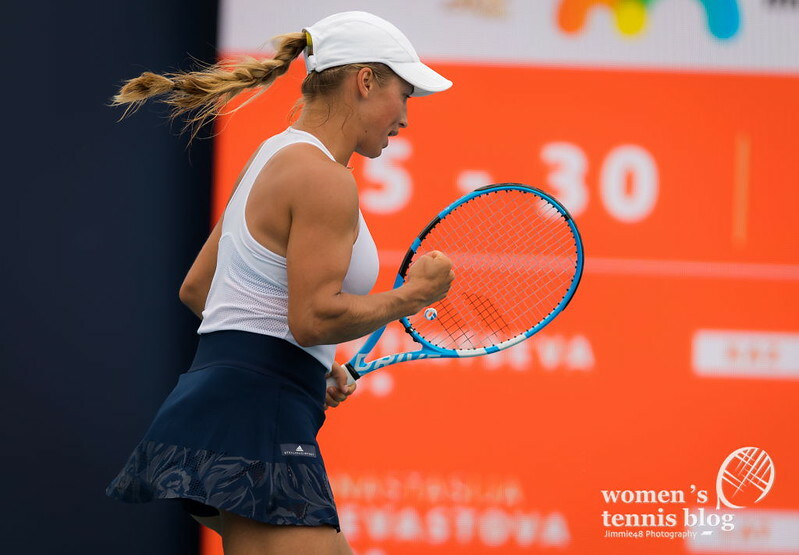 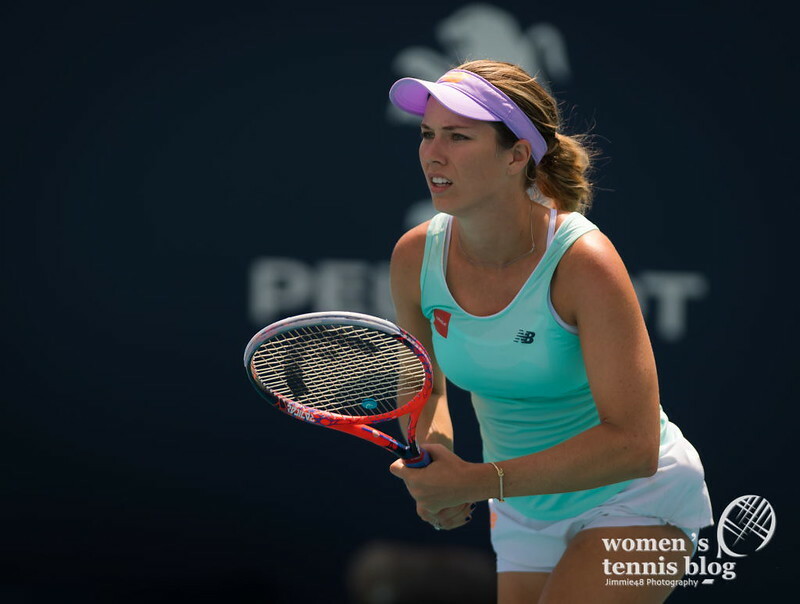 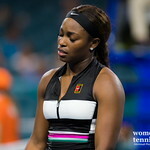 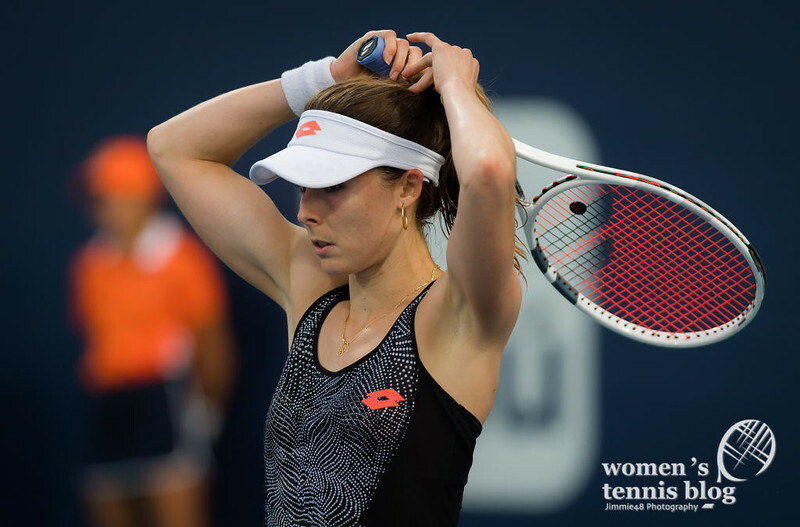 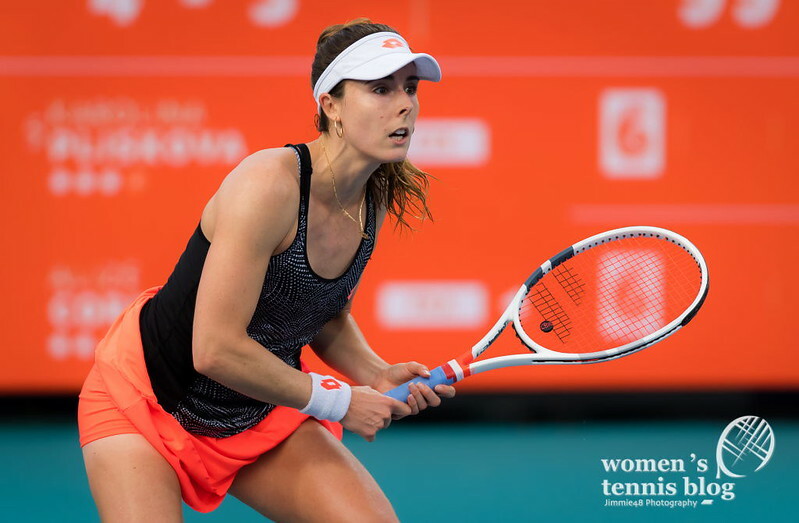 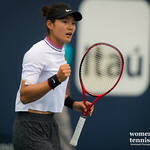 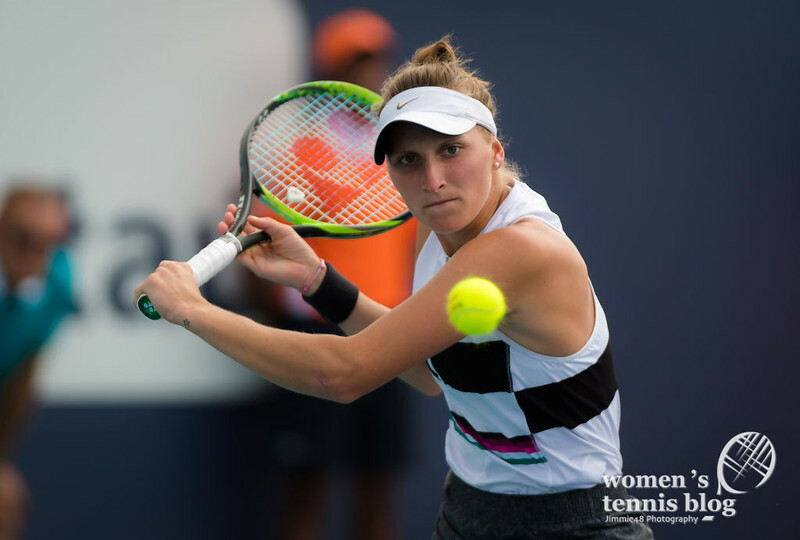 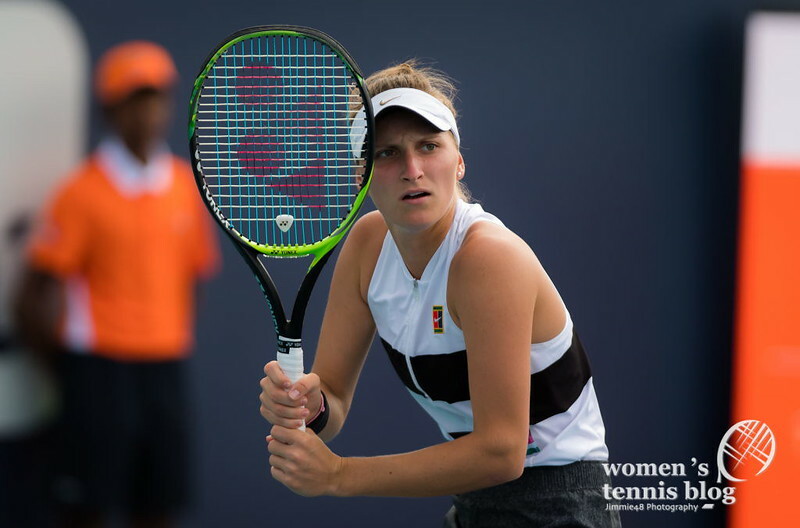 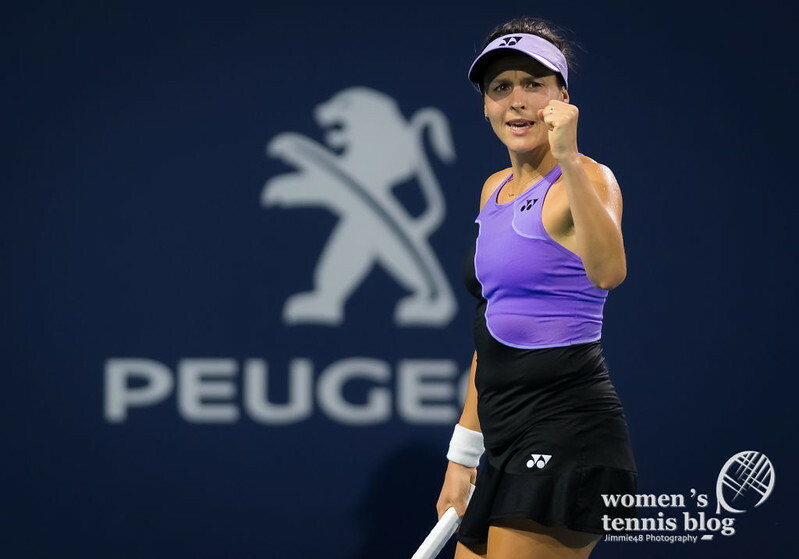 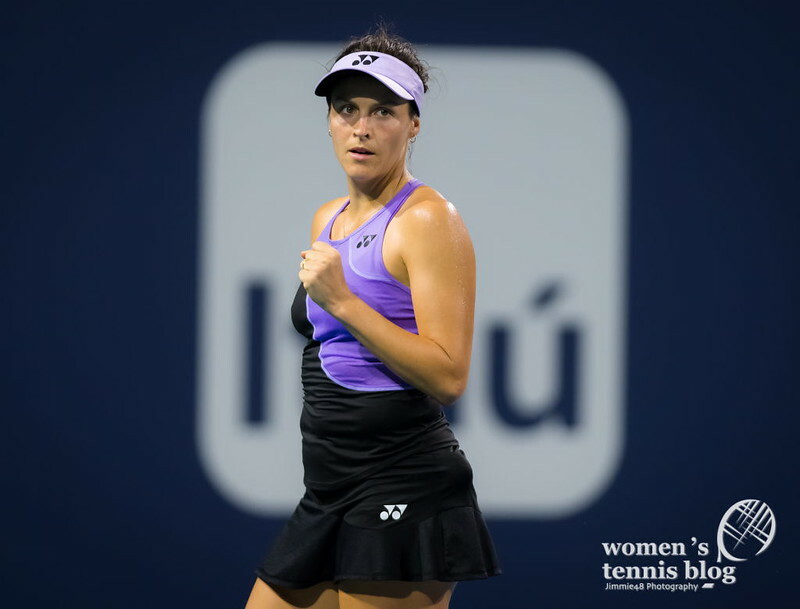 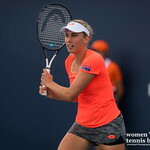 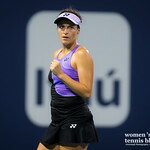 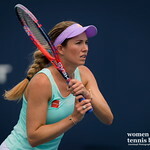 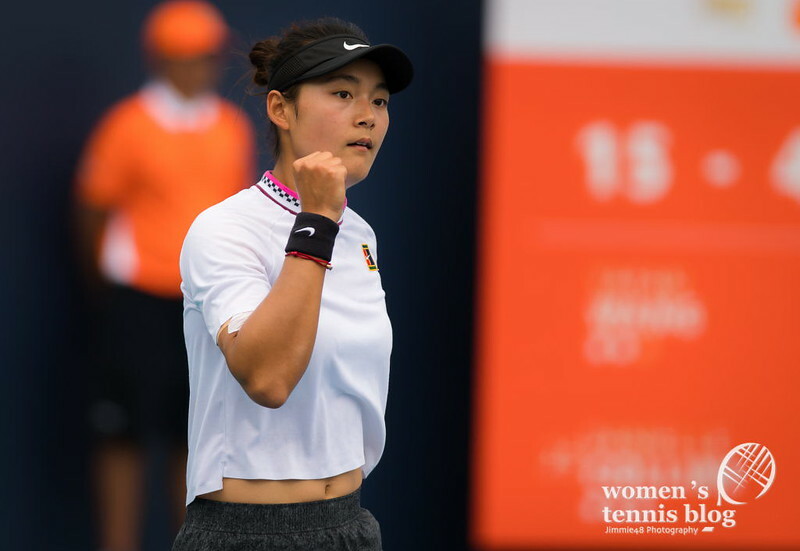 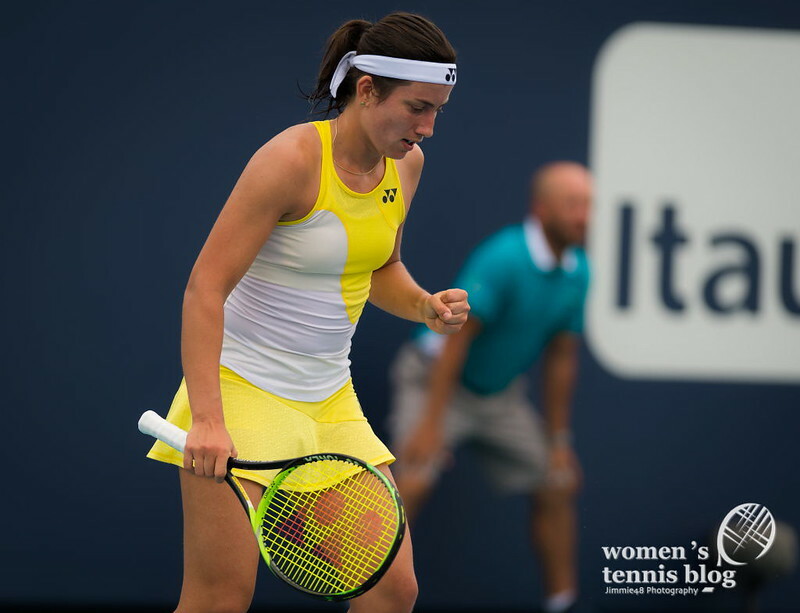 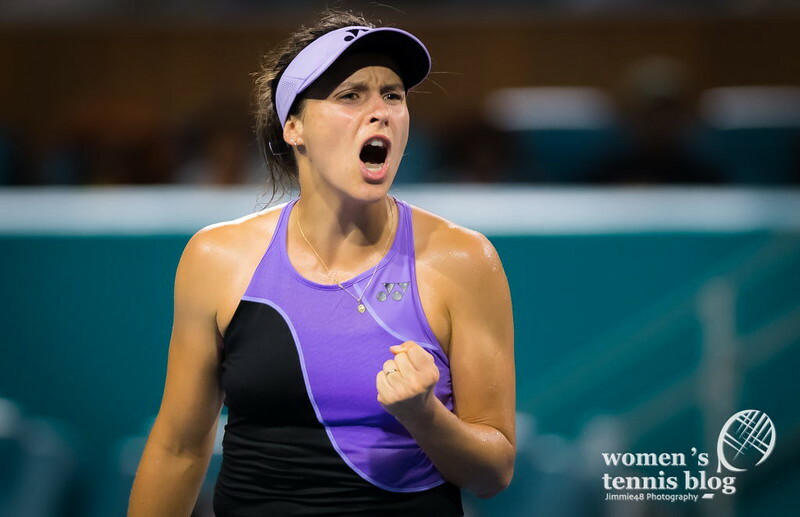 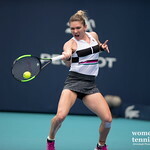 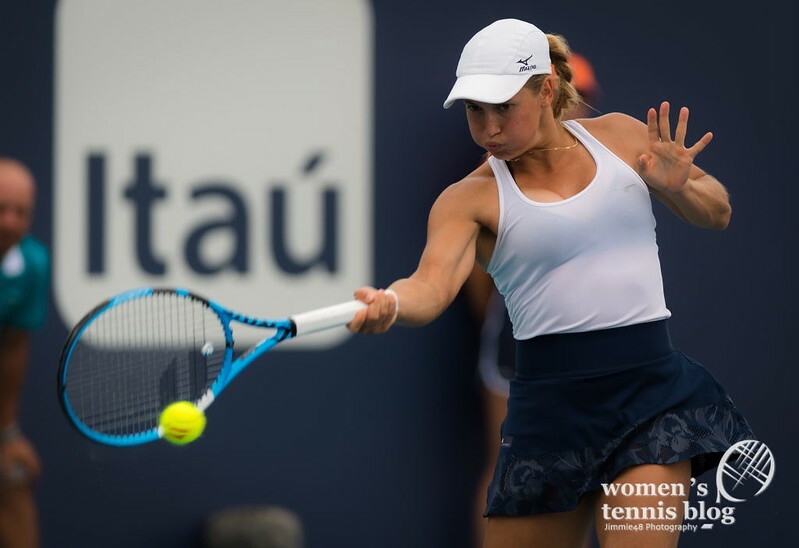 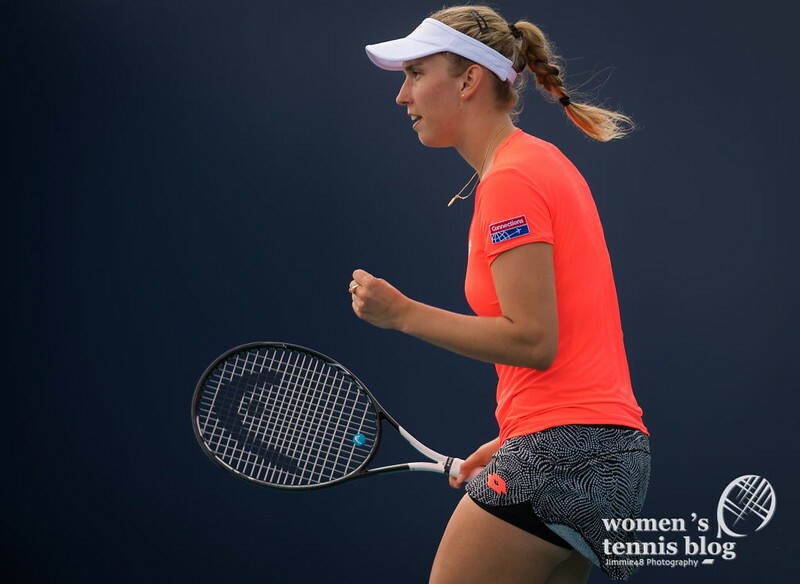 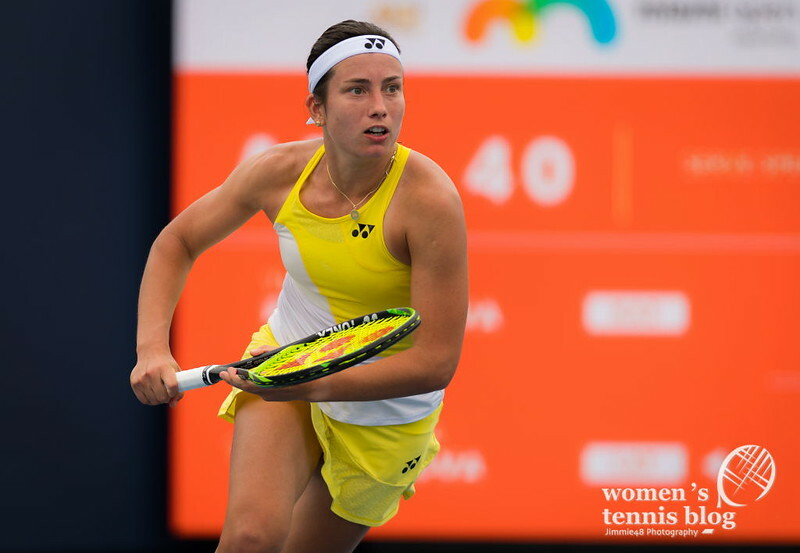 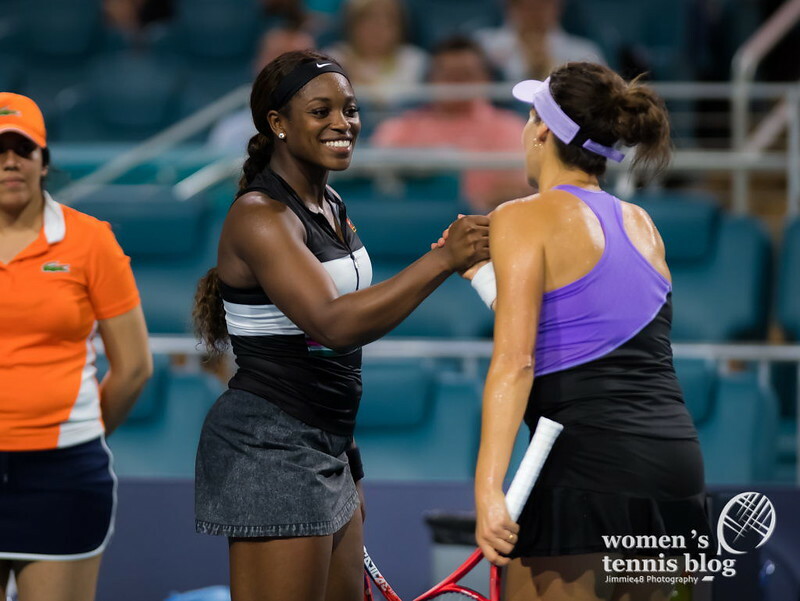 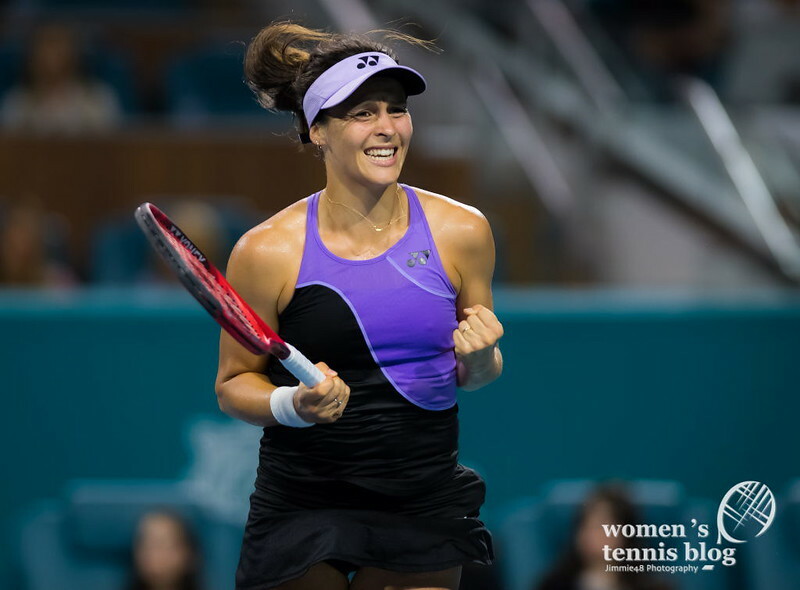 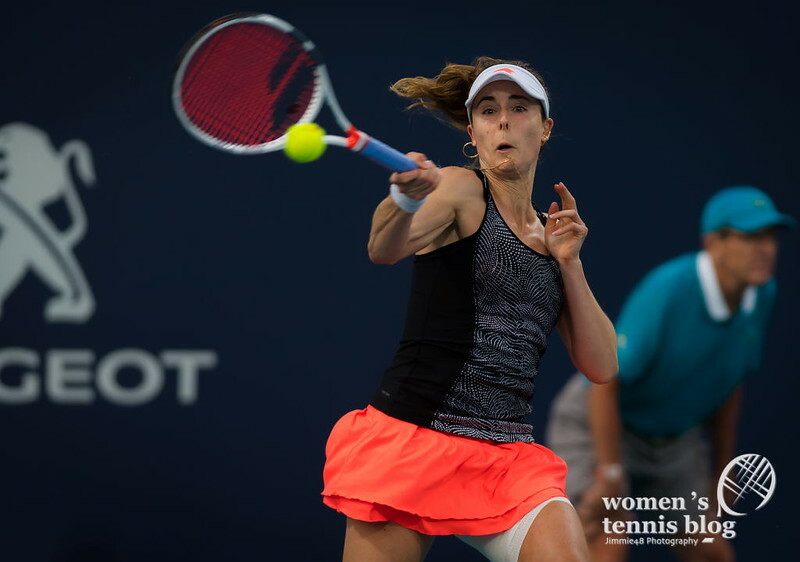 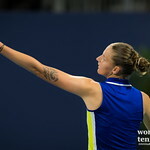 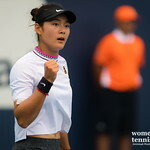 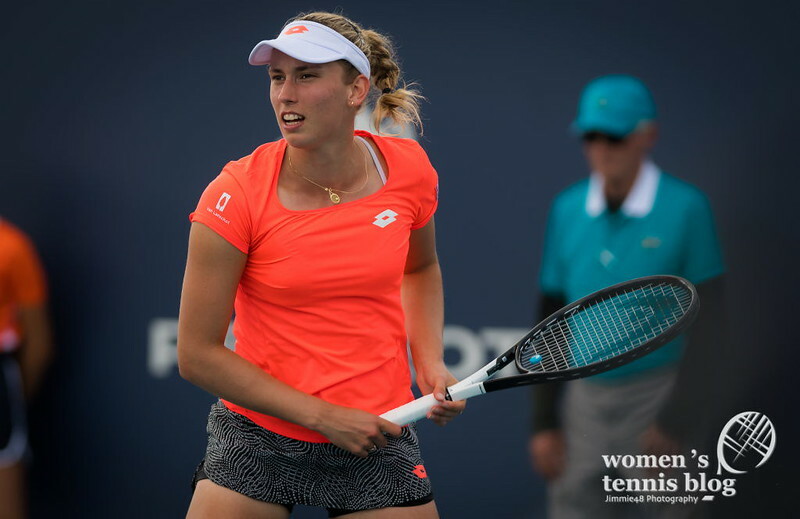 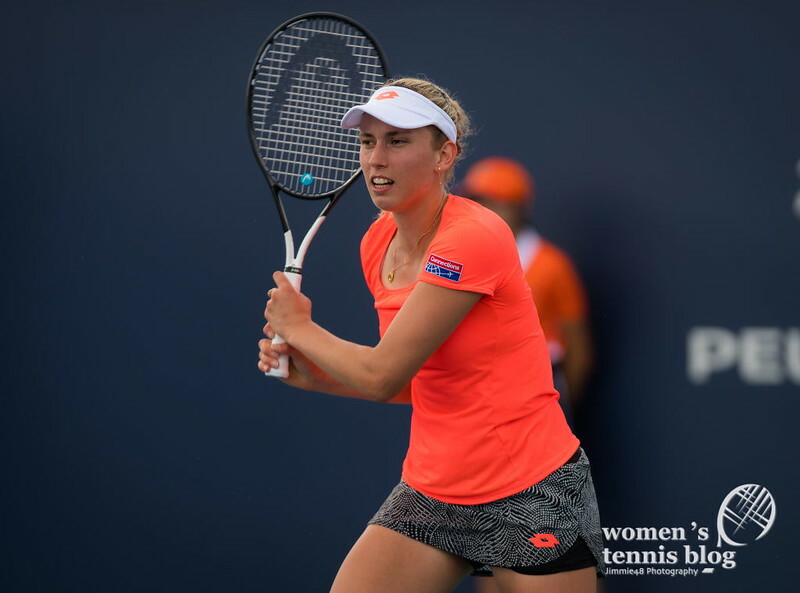 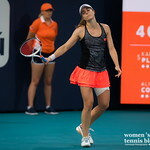 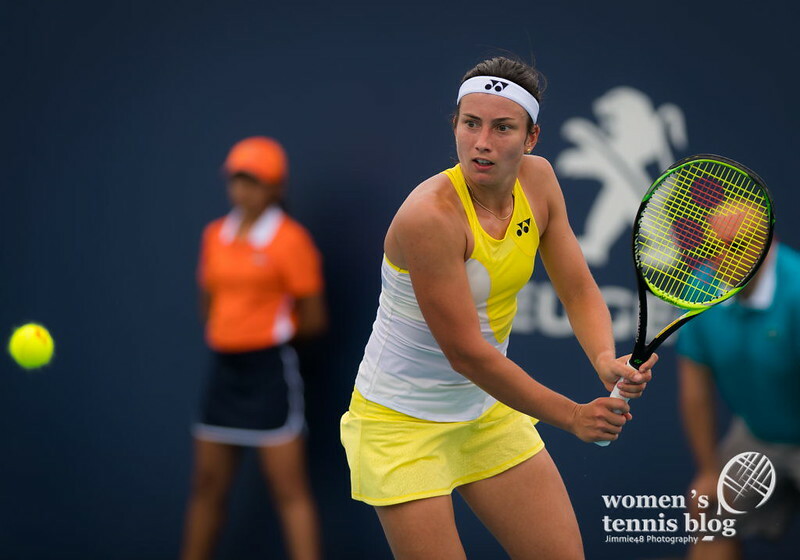 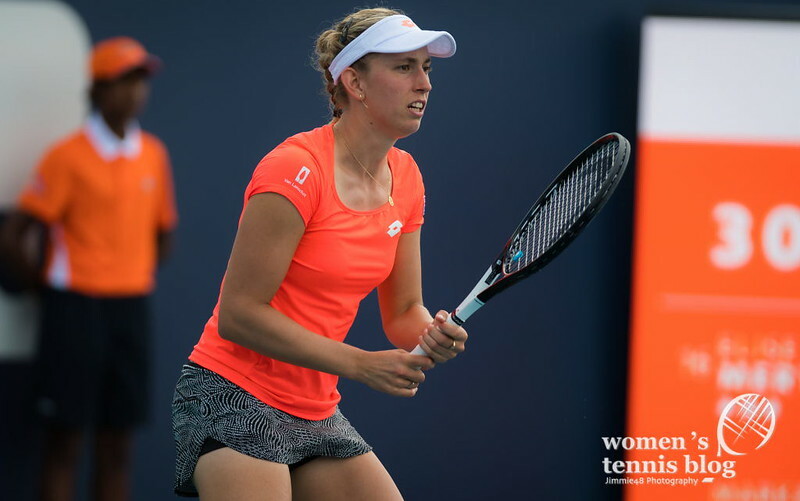 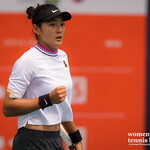 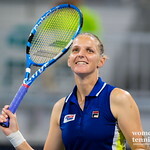 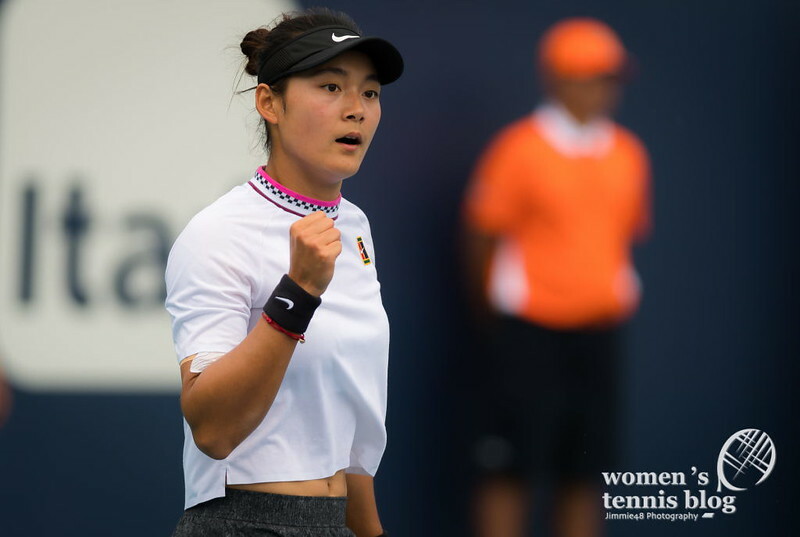 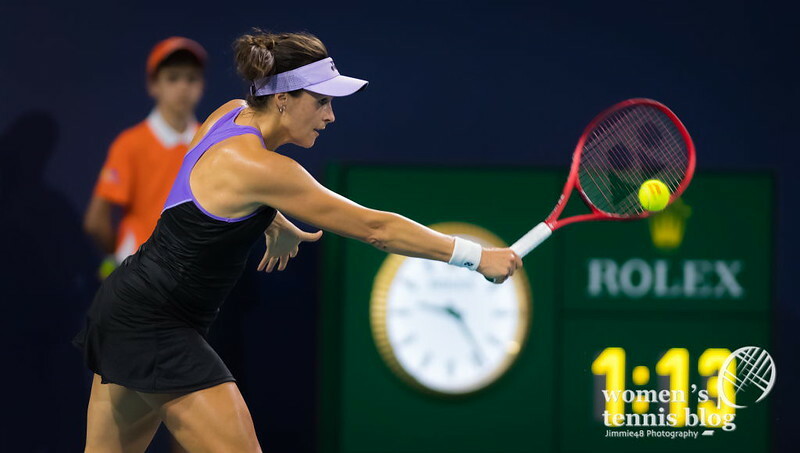 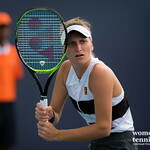 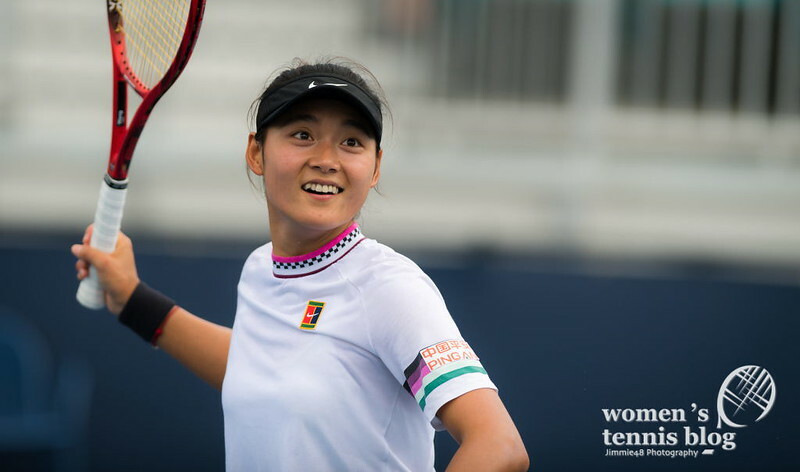 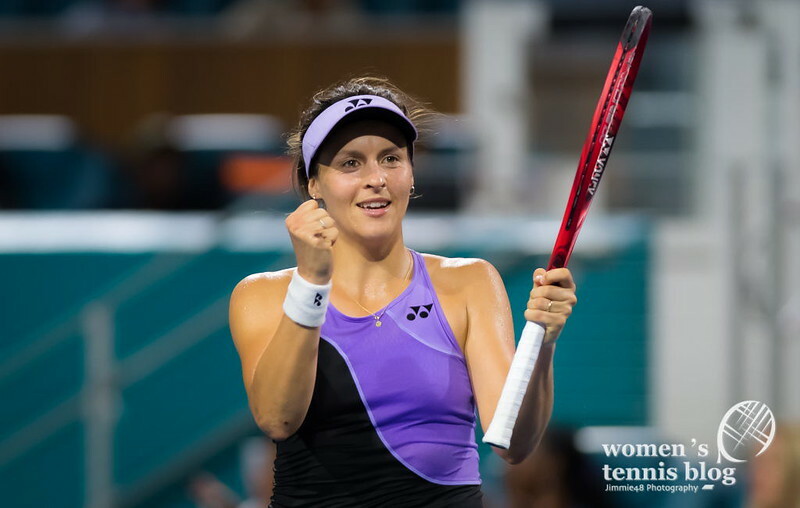 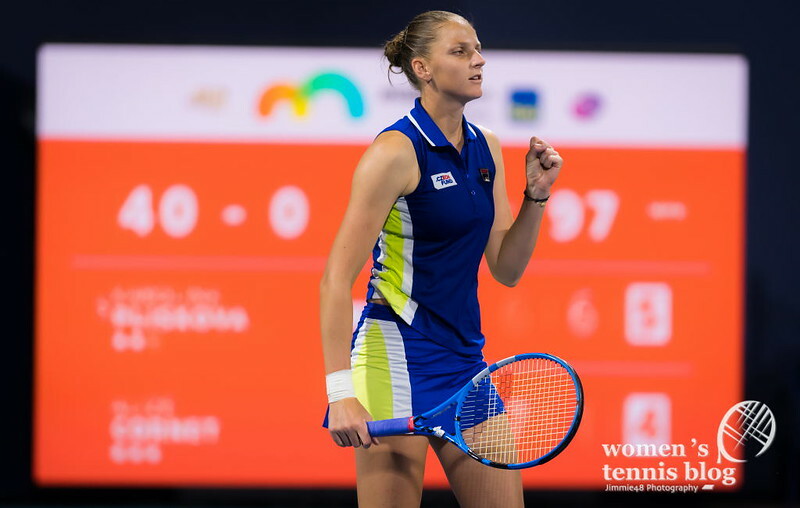 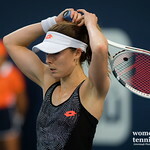 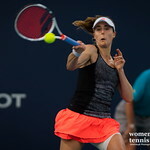 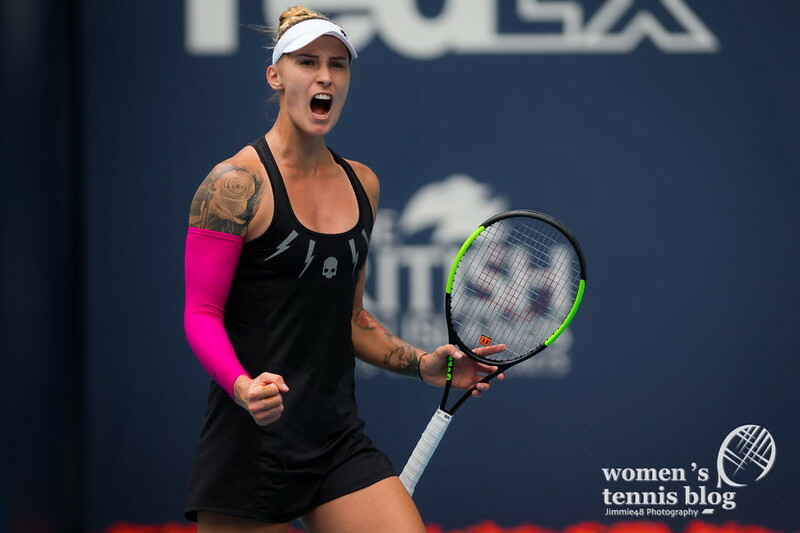 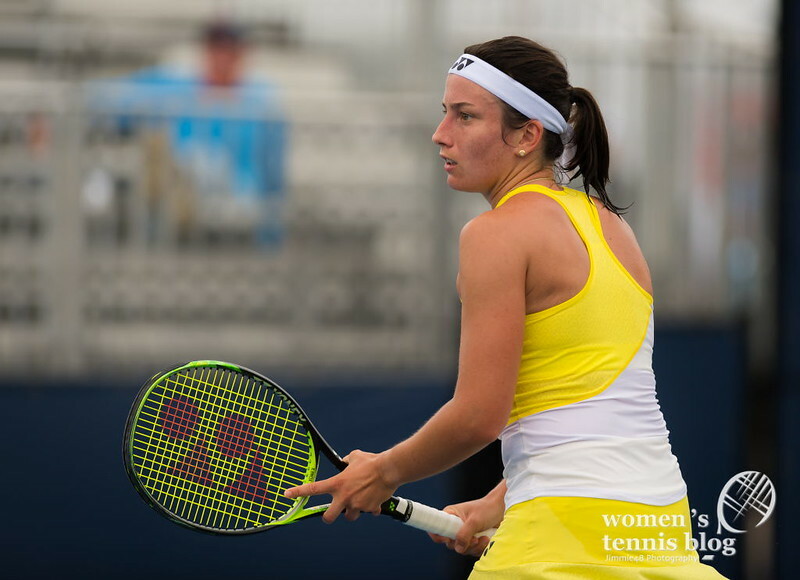 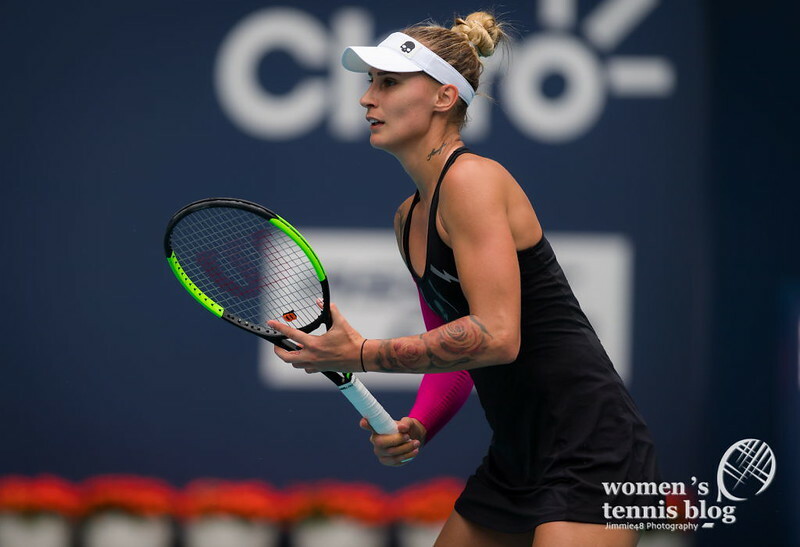 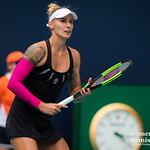 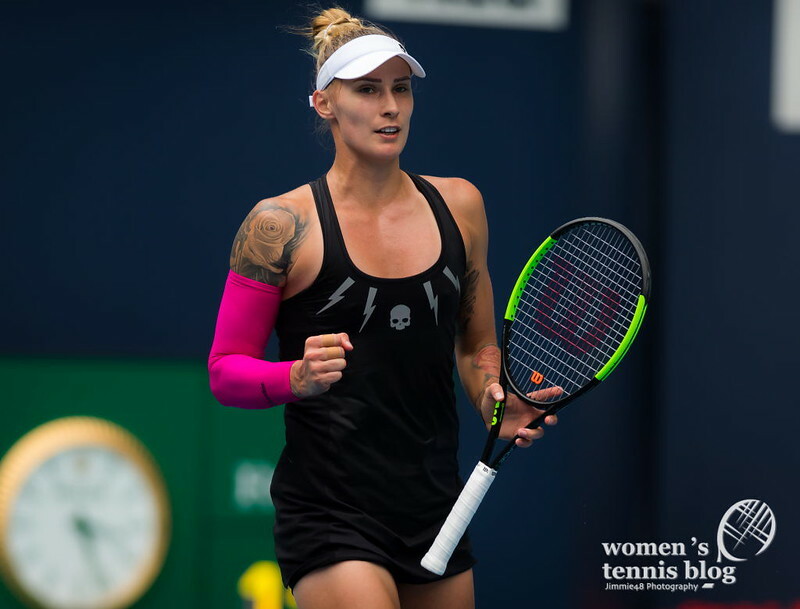 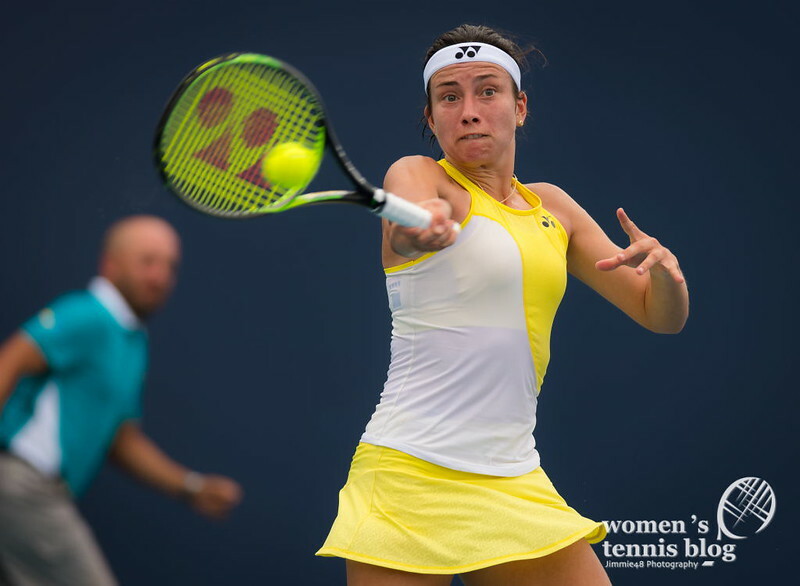 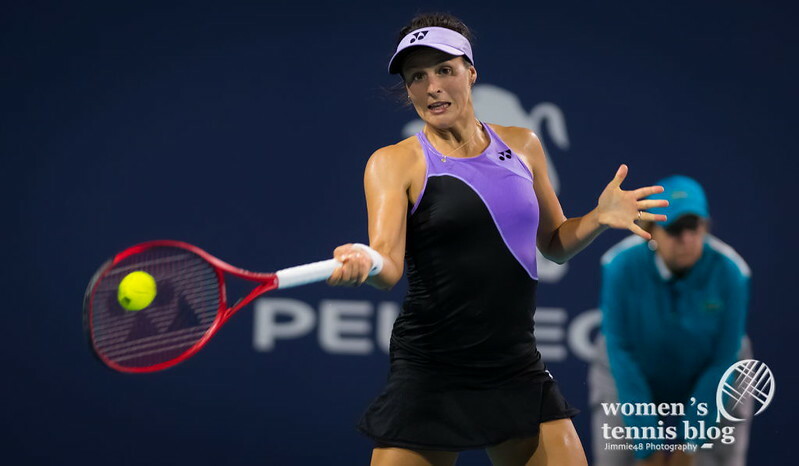 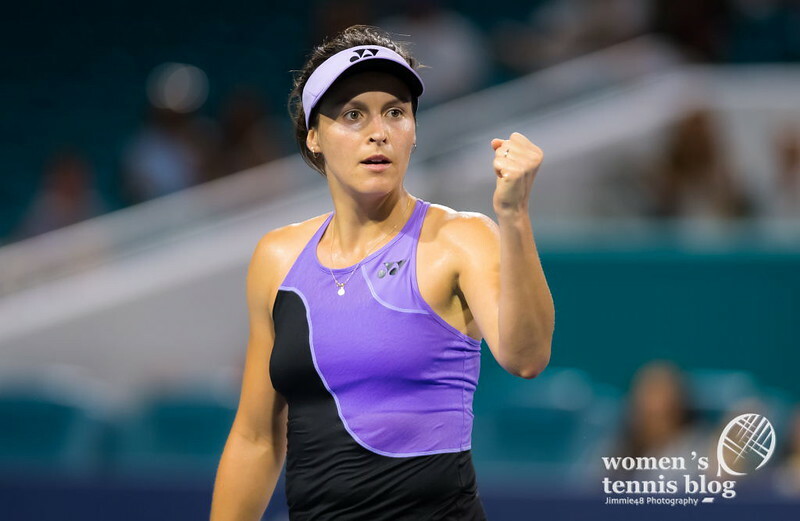 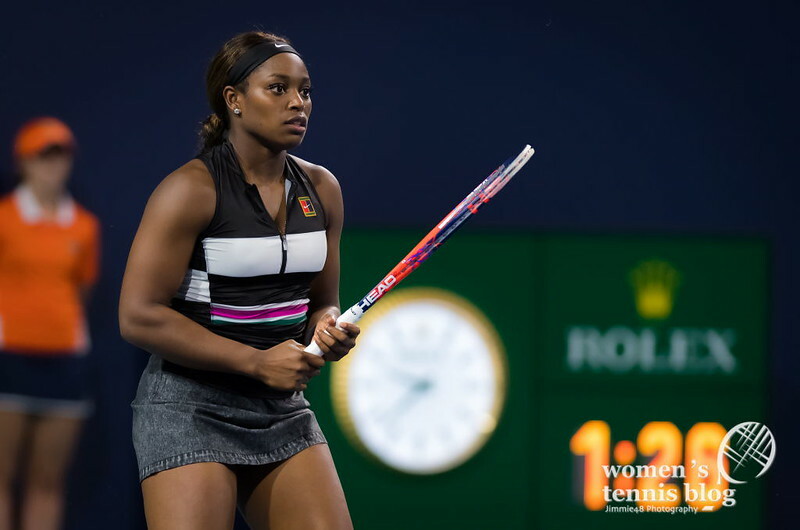 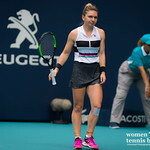 Defending champion and fourth seed Sloane Stephens lost to Tatjana Maria 6-3 6-2, Yulia Putintseva took out seed No.11 Anastasija Sevastova 1-6 6-2 6-3, Marketa Vondrousova eliminated seed No.16 Elise Mertens 6-4 7-6(1), Wang Yafan was better than 25th seed Danielle Collins 7-5 6-1 and Venus Williams swept past 14th seed Daria Kasatkina 6-3 6-1. 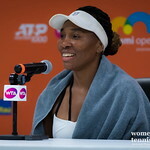 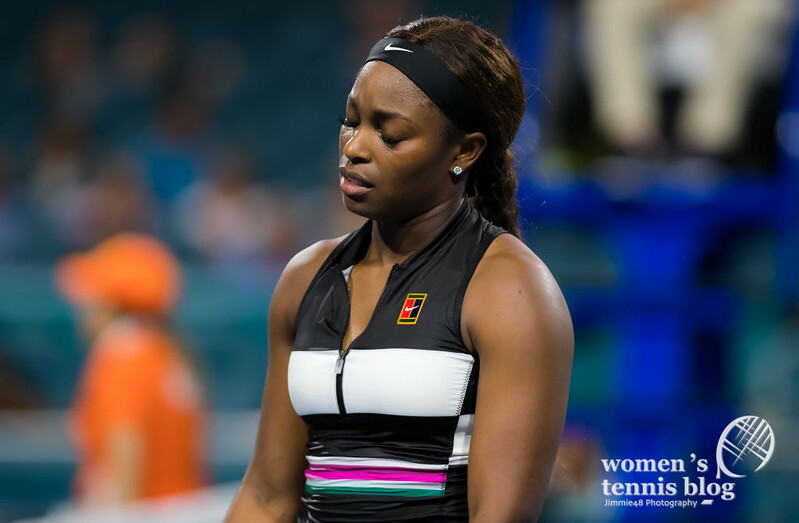 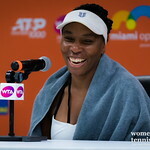 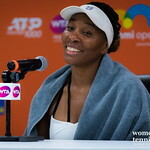 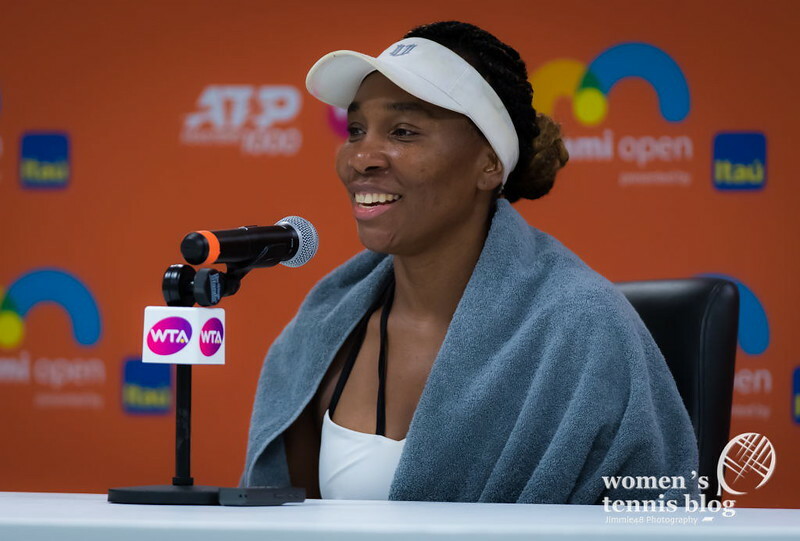 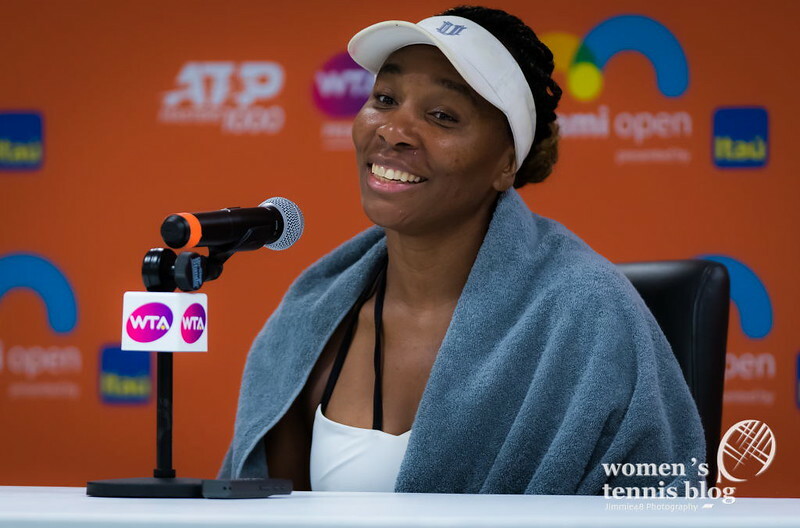 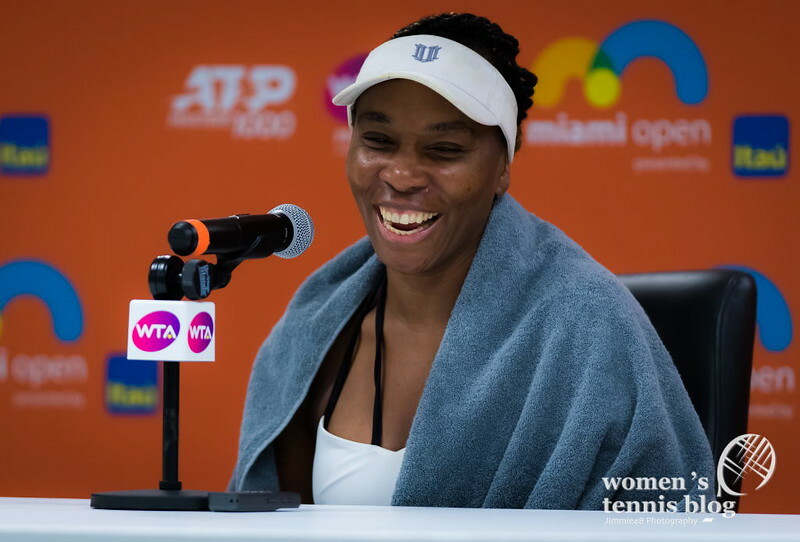 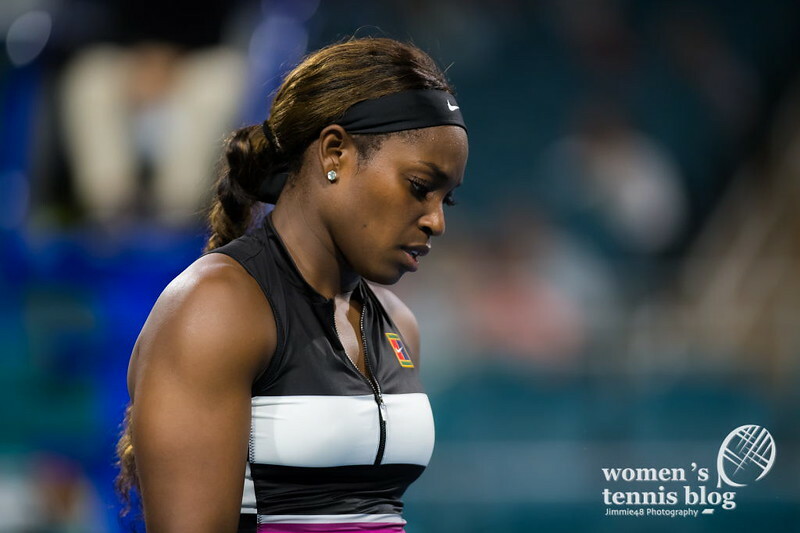 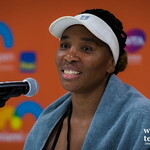 Williams, who is set to face Halep in the last 16, is a three-time Miami Open champion and this is the 16th time that she’s in the fourth round of the tournament. 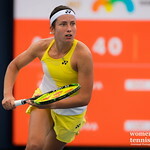 Her win against Kasatkina stood out with exceptional returns, as she dropped serve four times but won every return game, going 8-for-8. 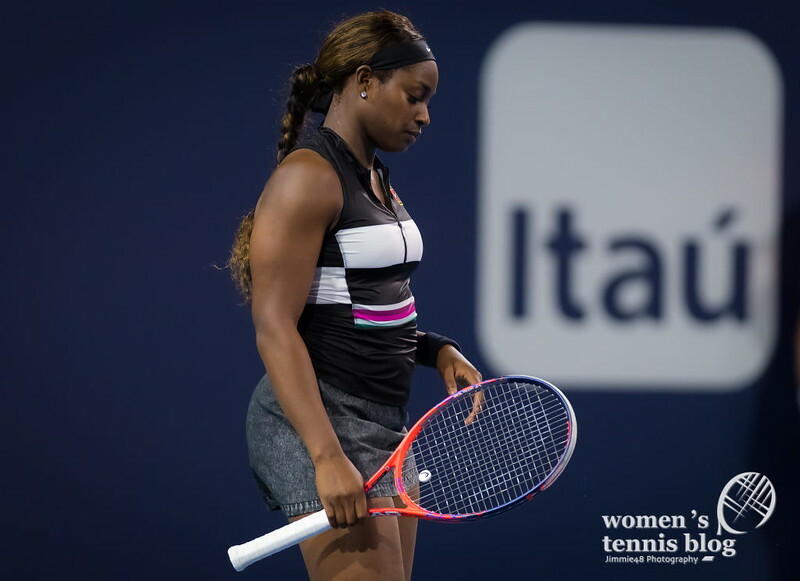 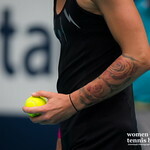 The American also converted all her 8 break point changes! 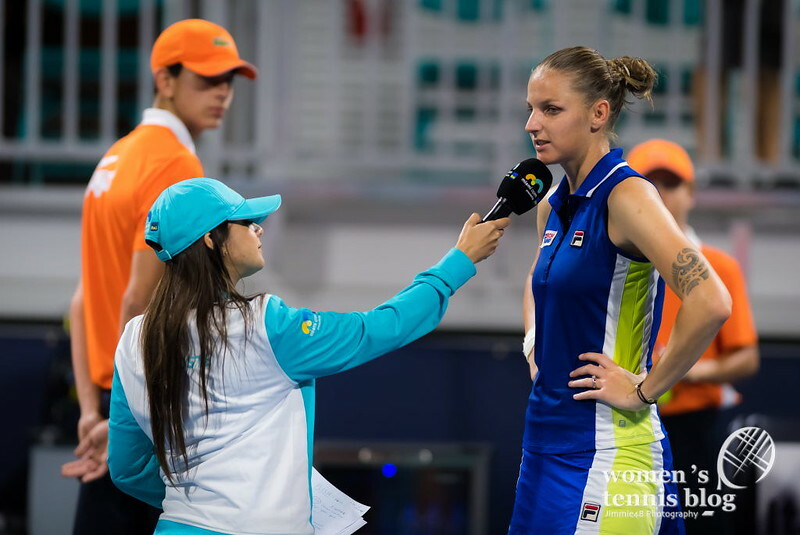 It was a busy Sunday for our photographer Jimmie48, as he attended all these matches! 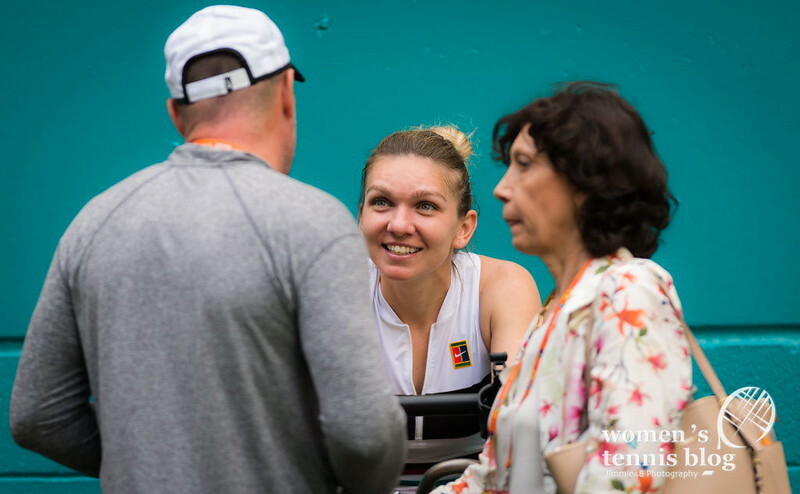 Enjoy the gallery!